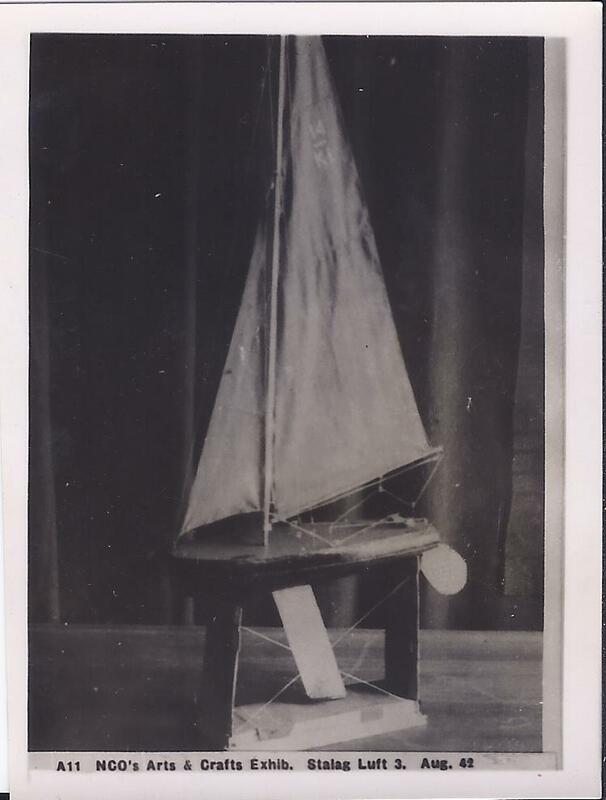 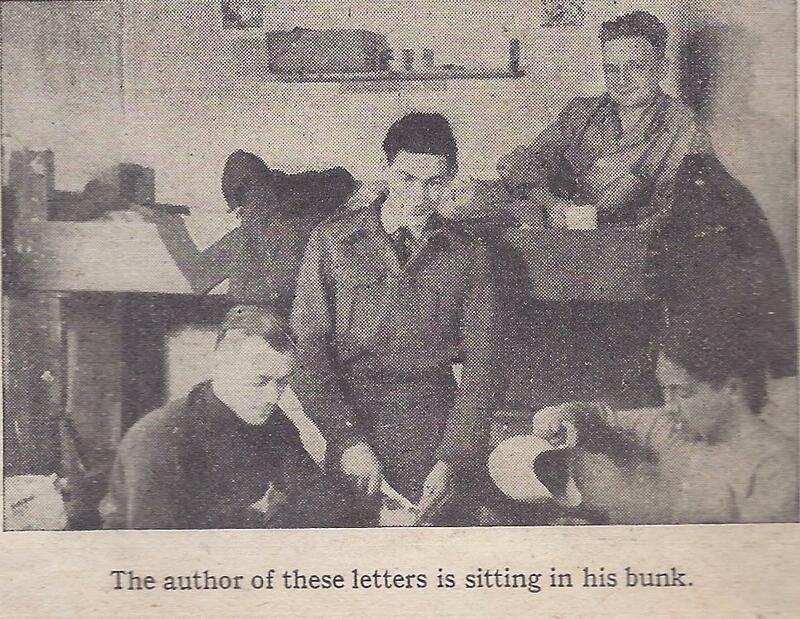 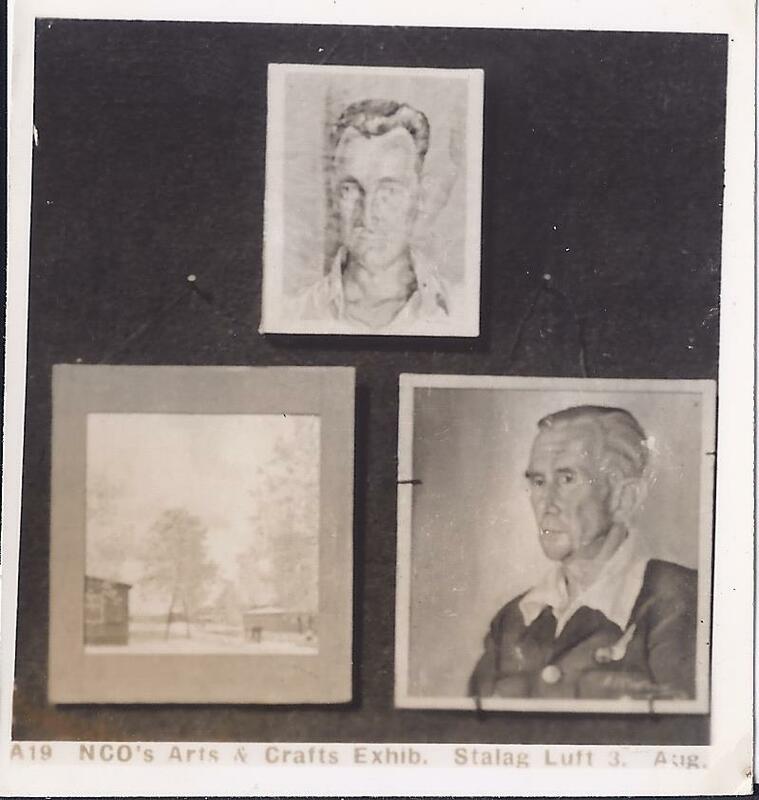 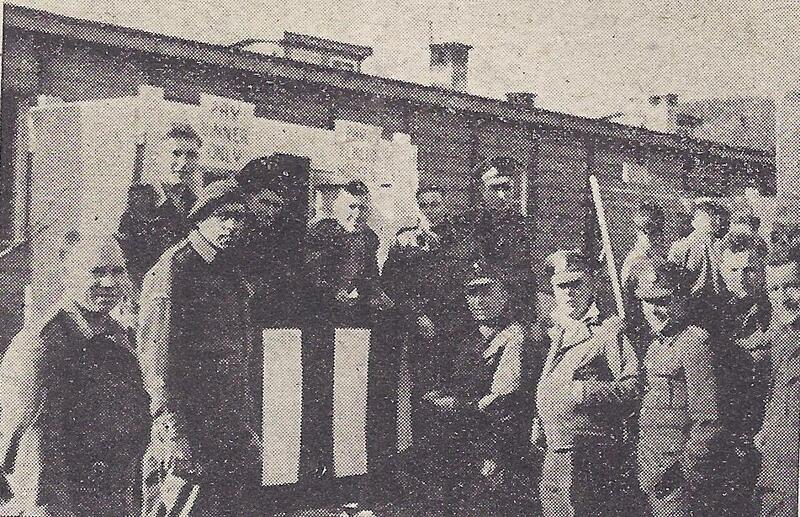 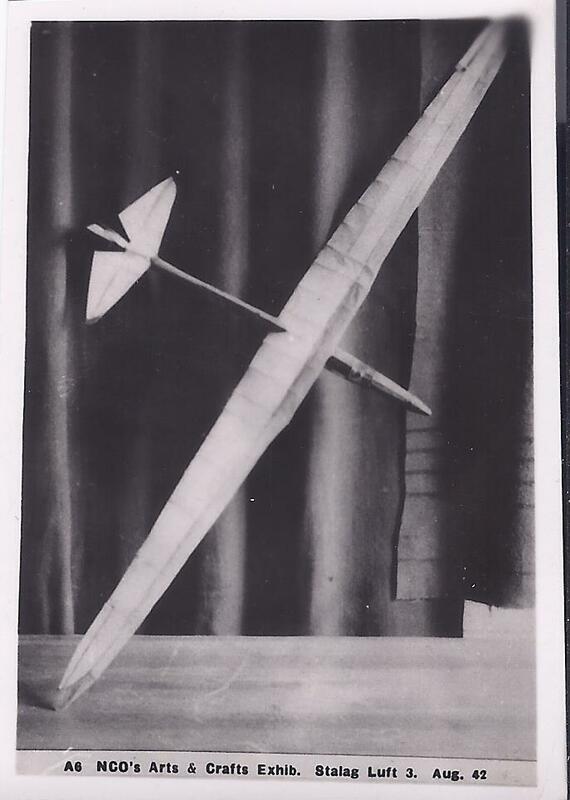 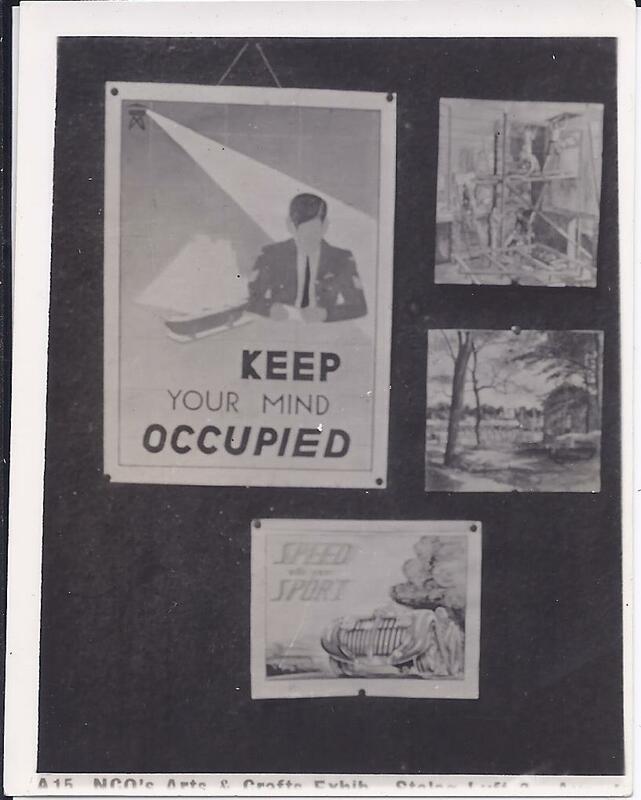 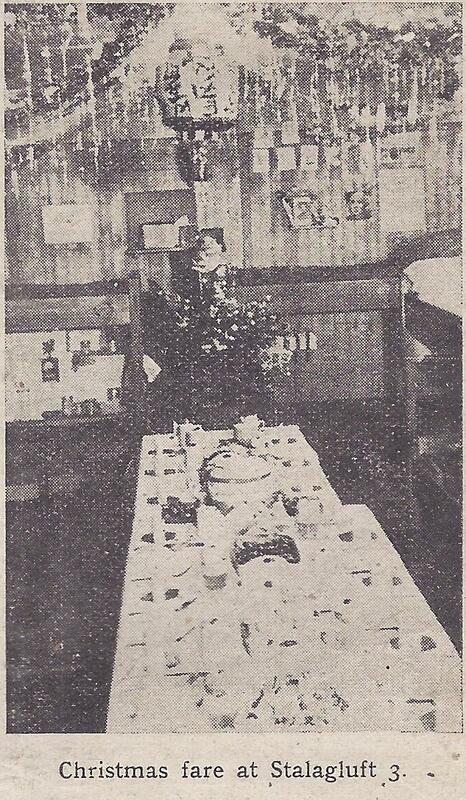 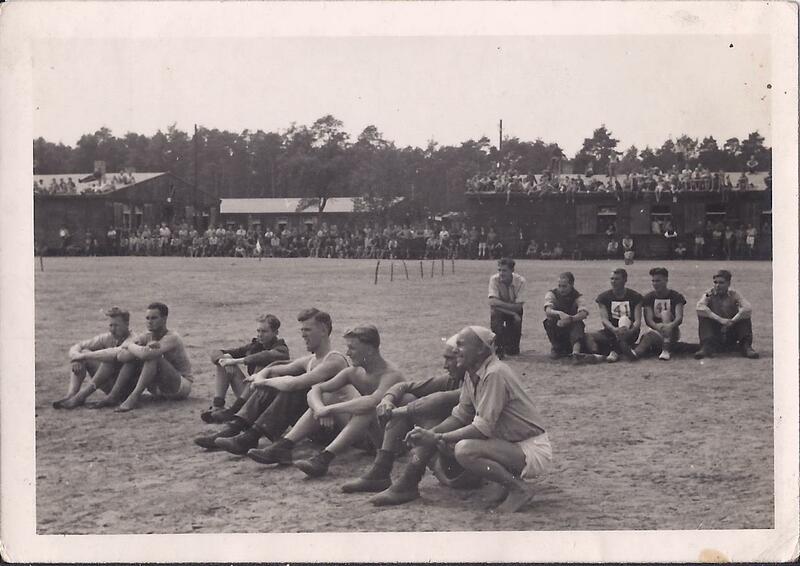 Pictures taken during Kens time as a POW, available on their return. 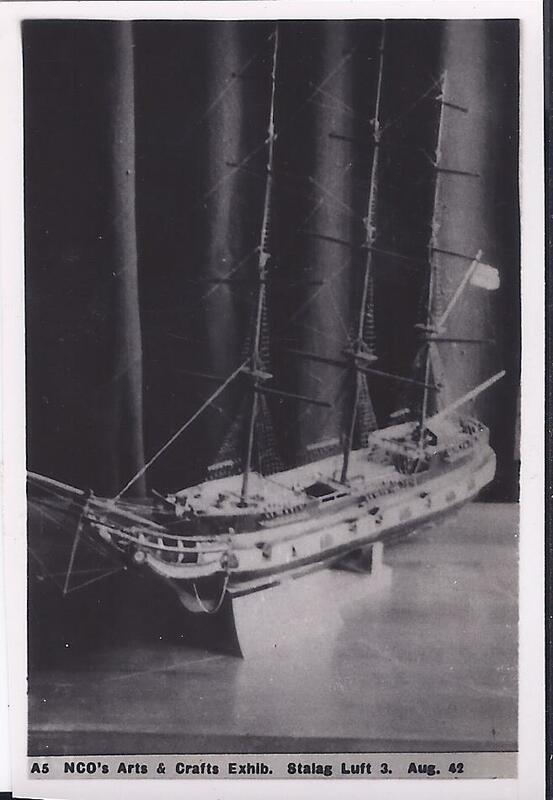 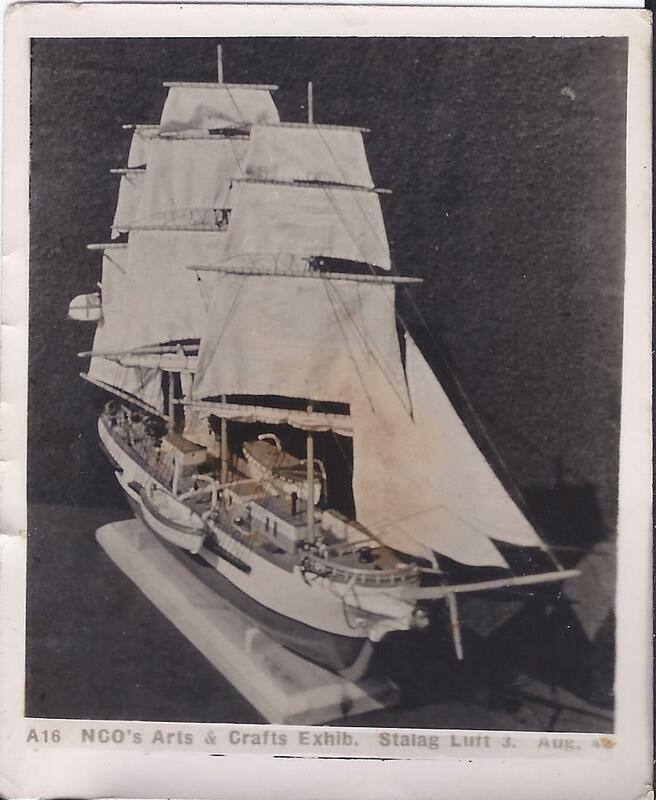 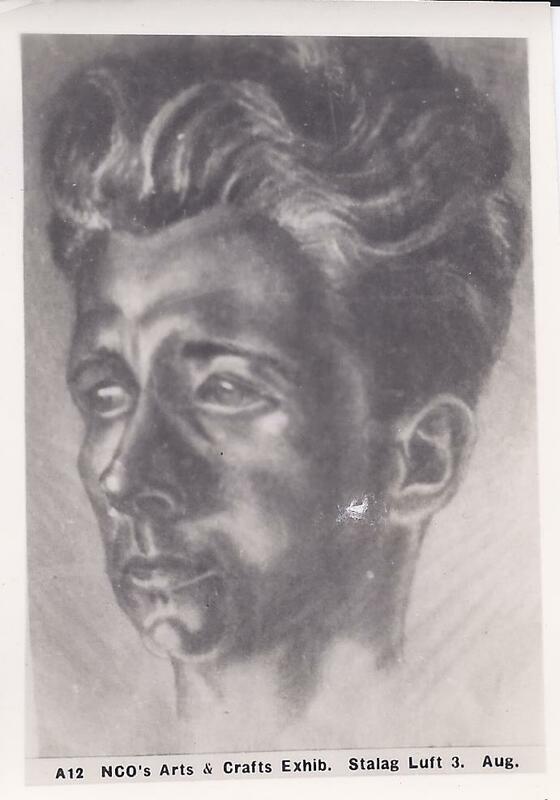 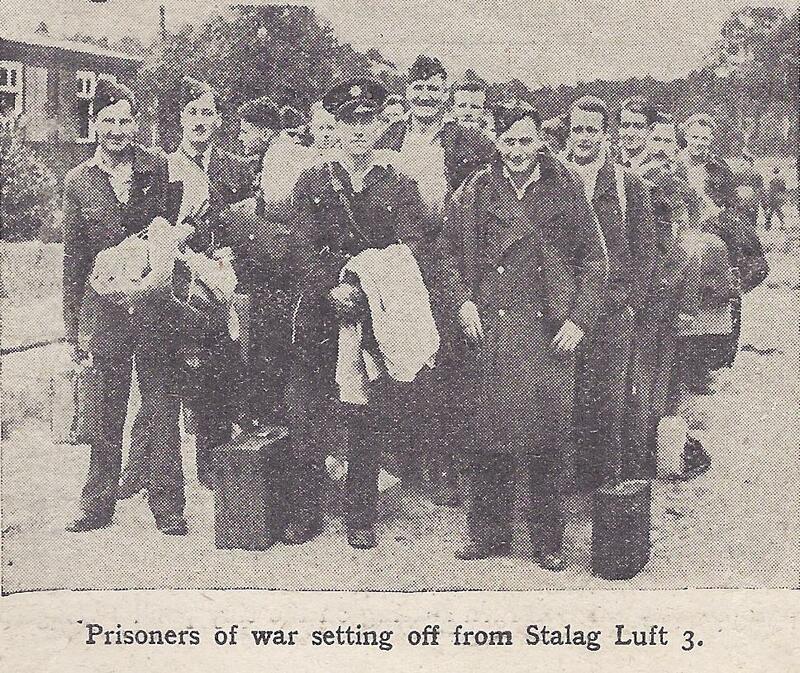 Thought to have been taken by official German Photographers at the time and sent back to Britain via the Red Cross for inclusion within ‘The Prisoner of War’ magazine and made available to returning POW’s. 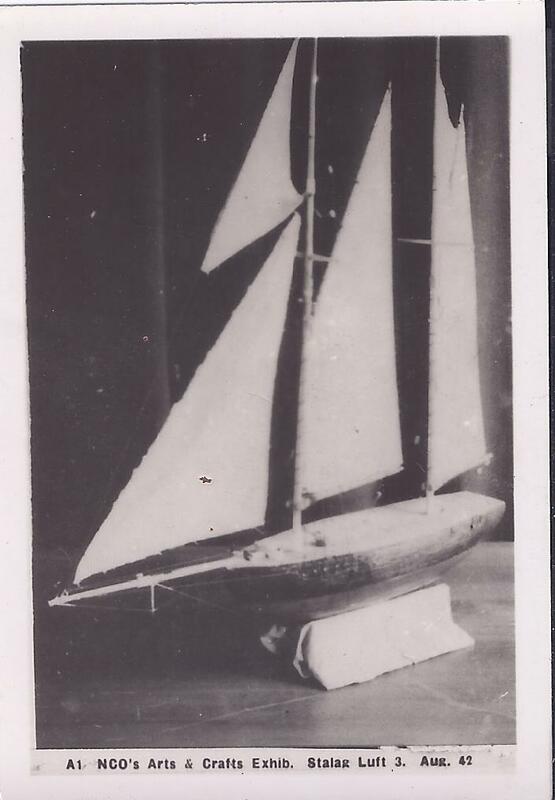 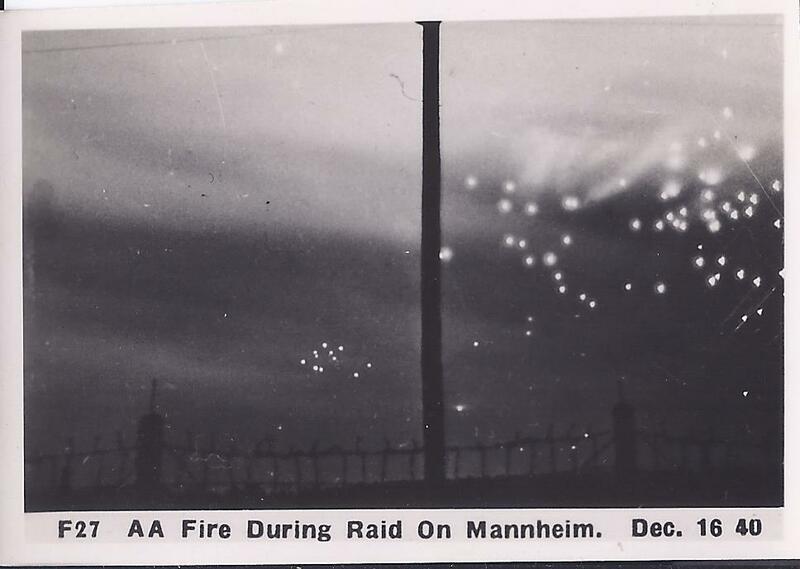 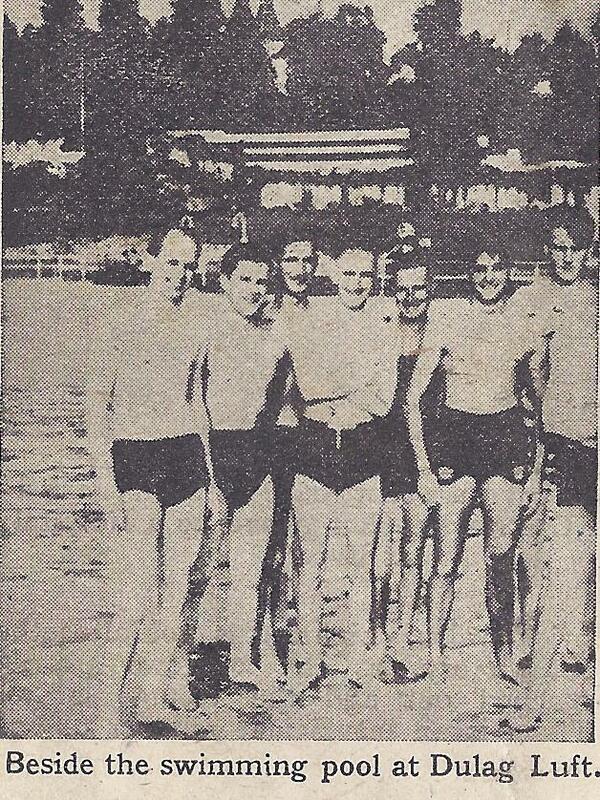 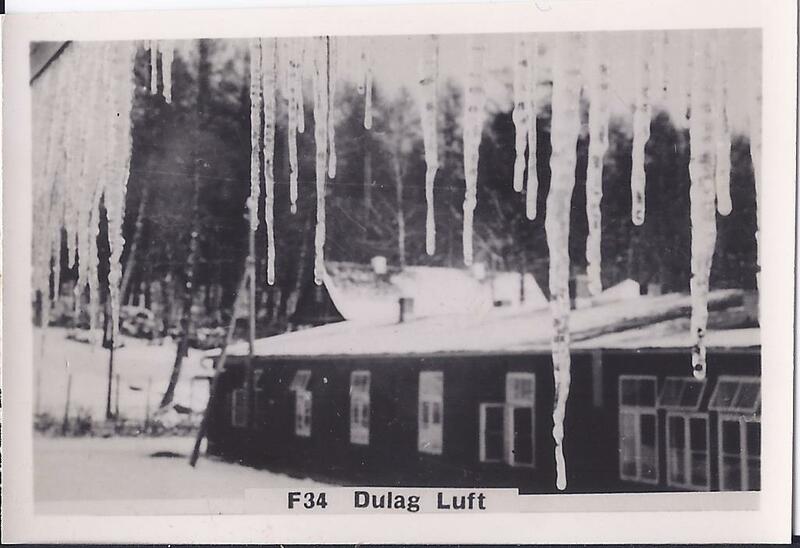 Pictures thought to have been taken in the Winter of 1940/41. 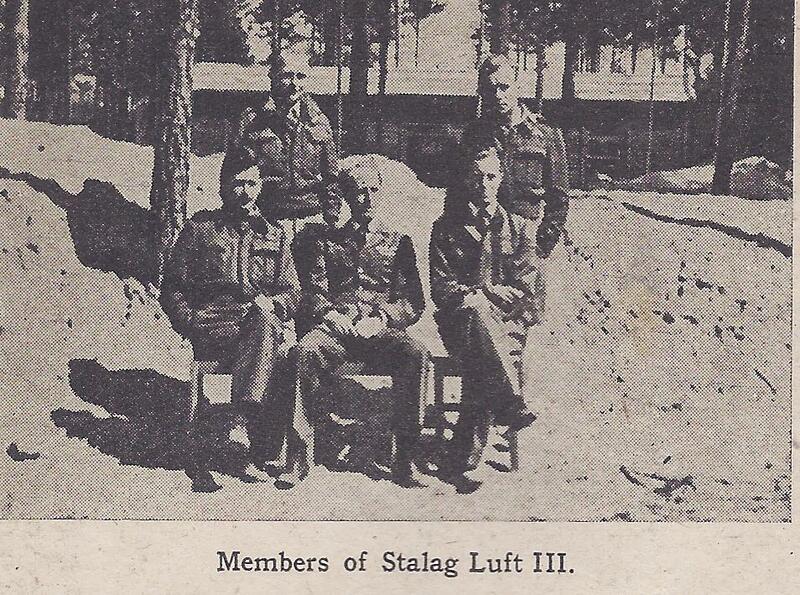 Stalag Luft 3 – Messiah, 1942. 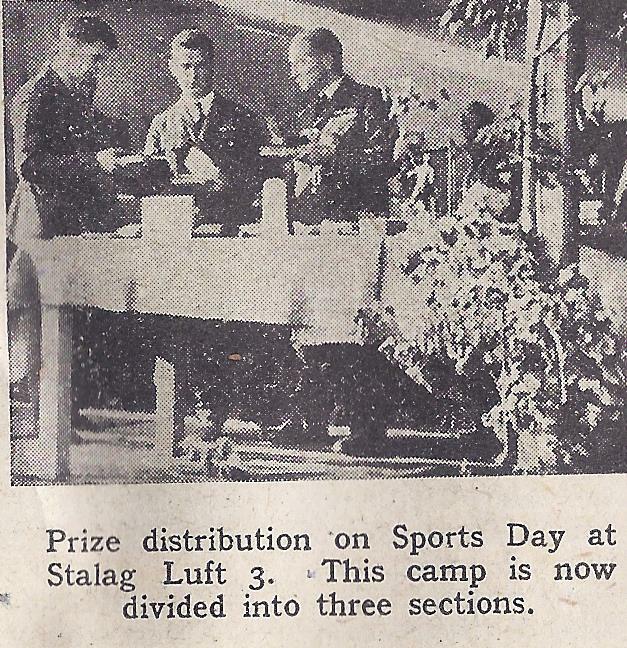 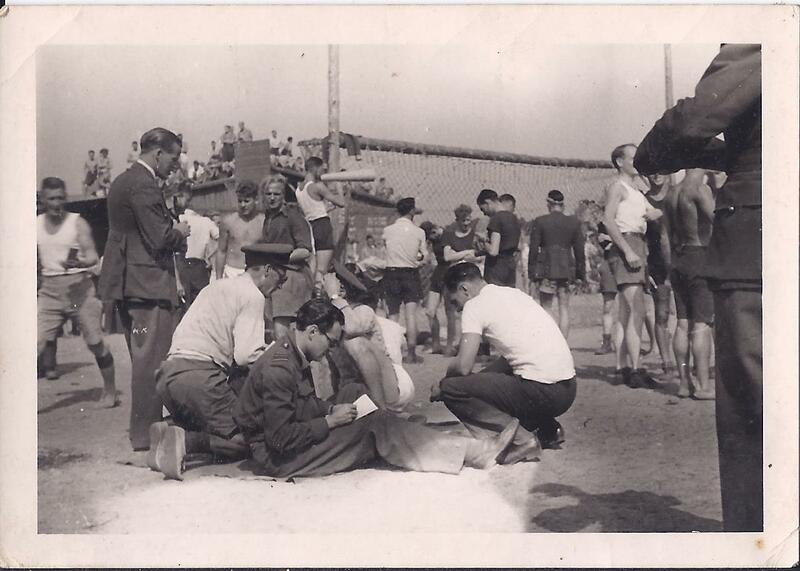 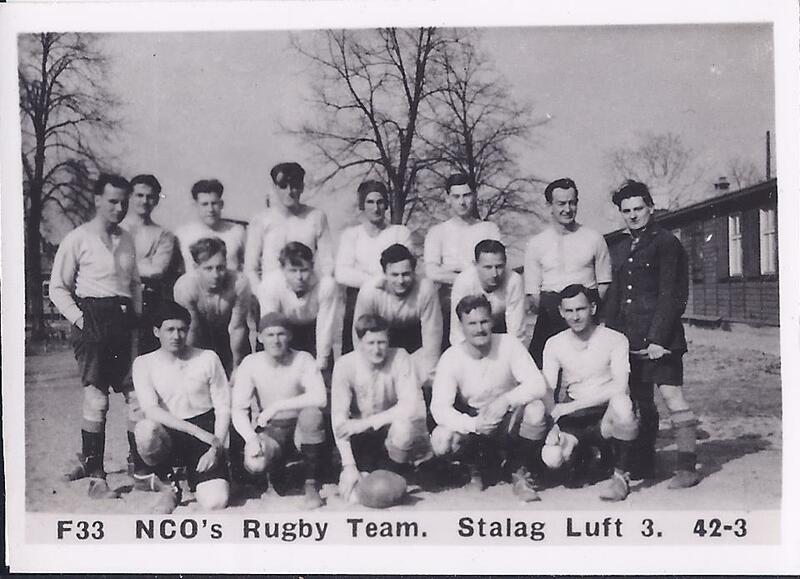 Stalag Luft 3 – Sports Day, 1942/43. 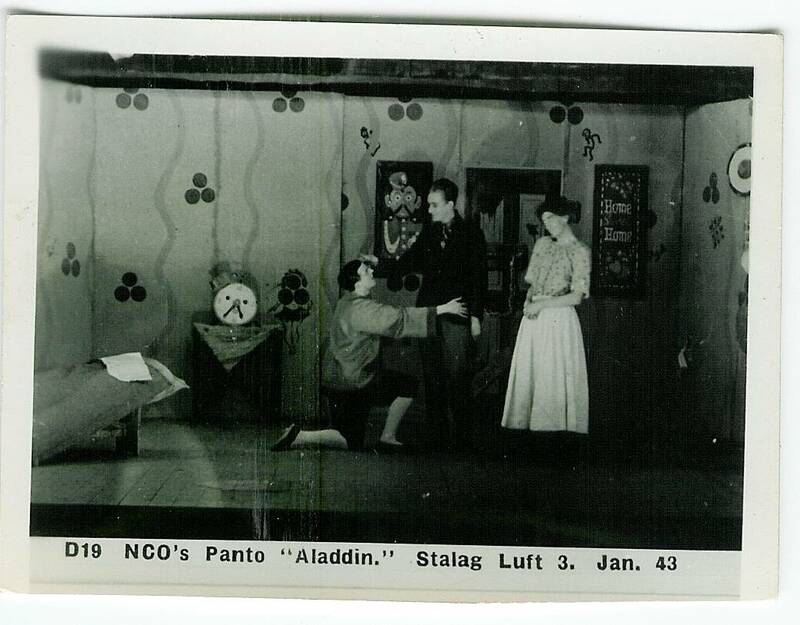 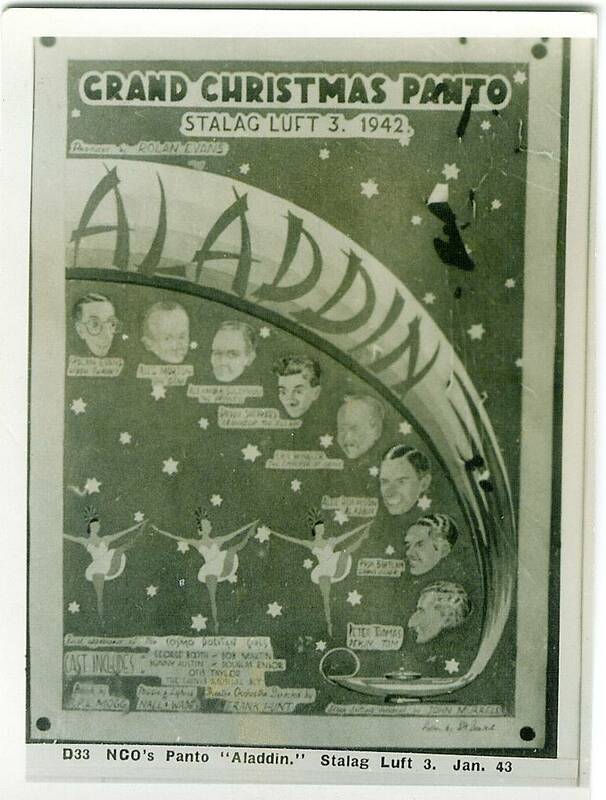 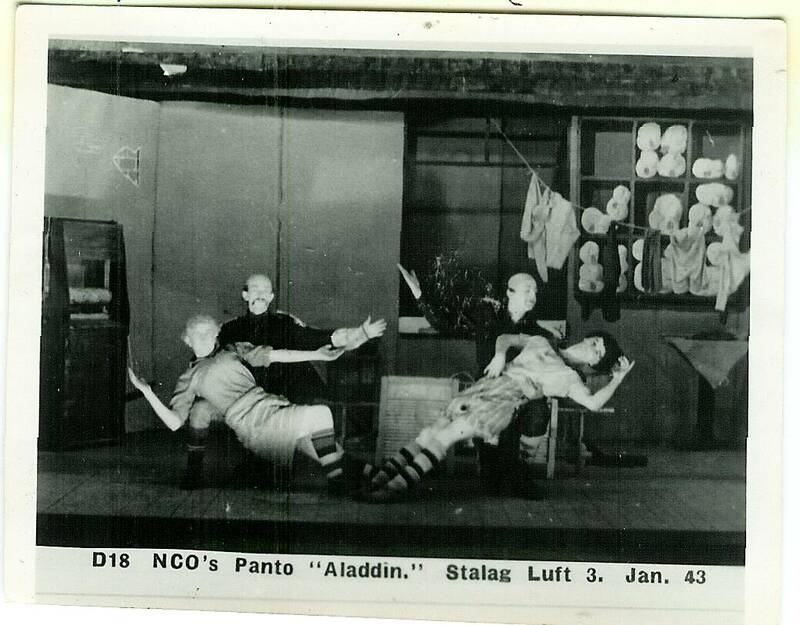 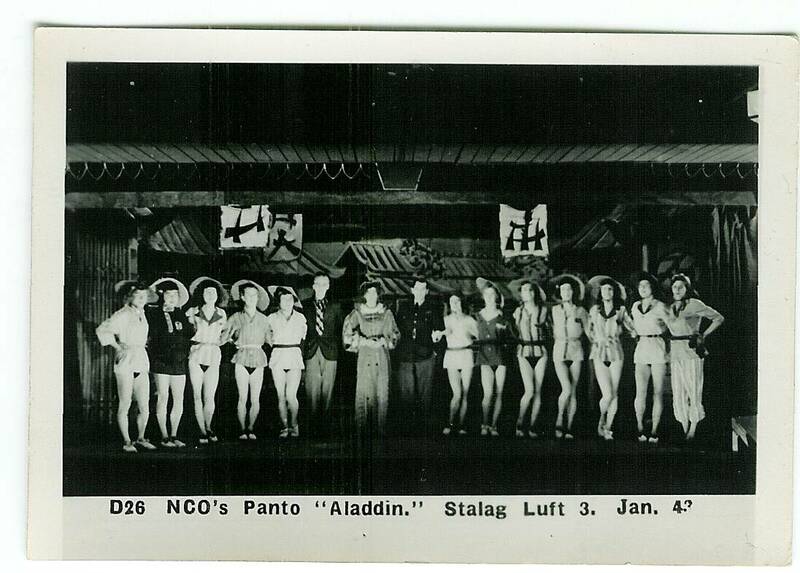 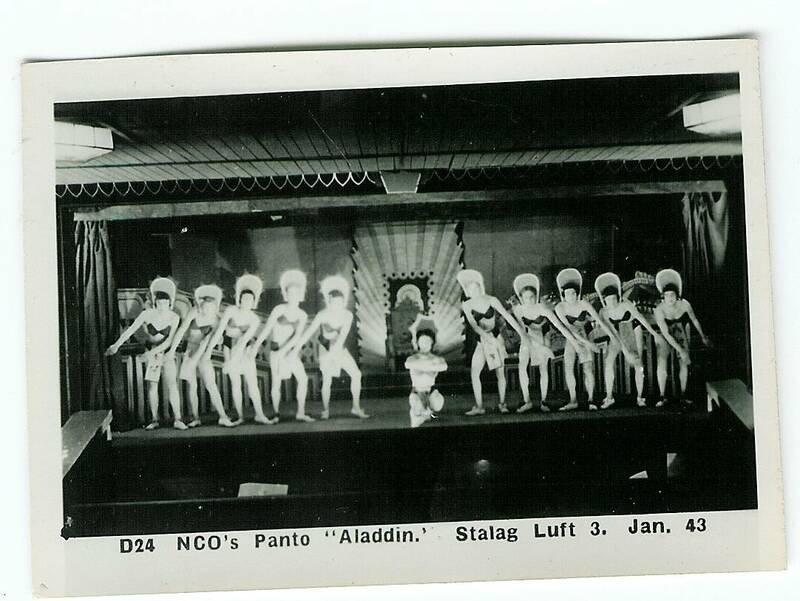 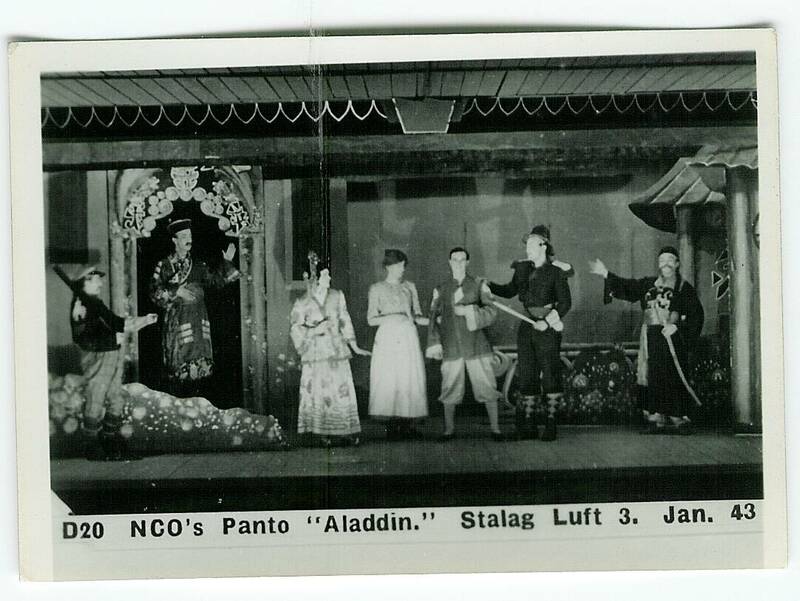 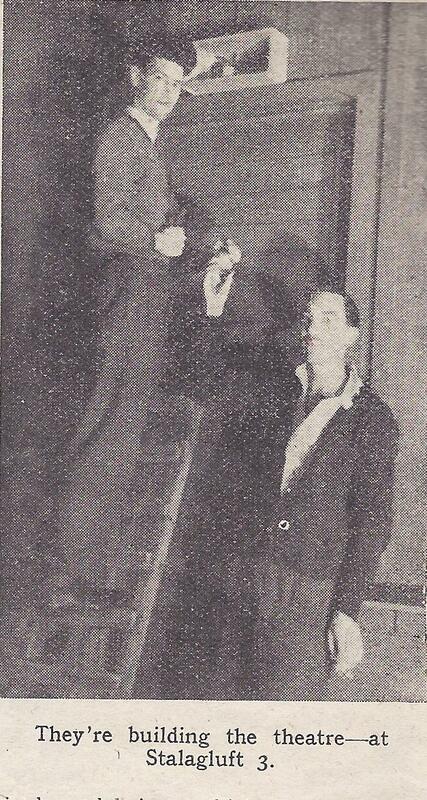 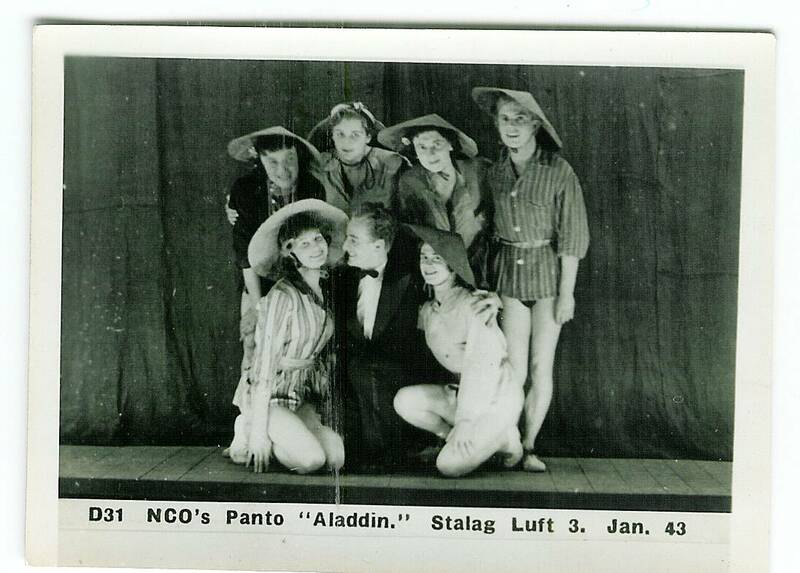 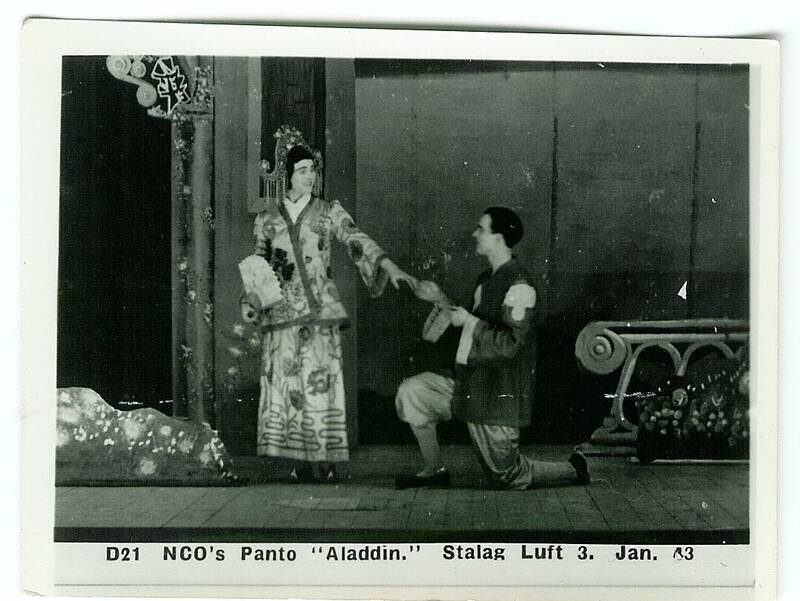 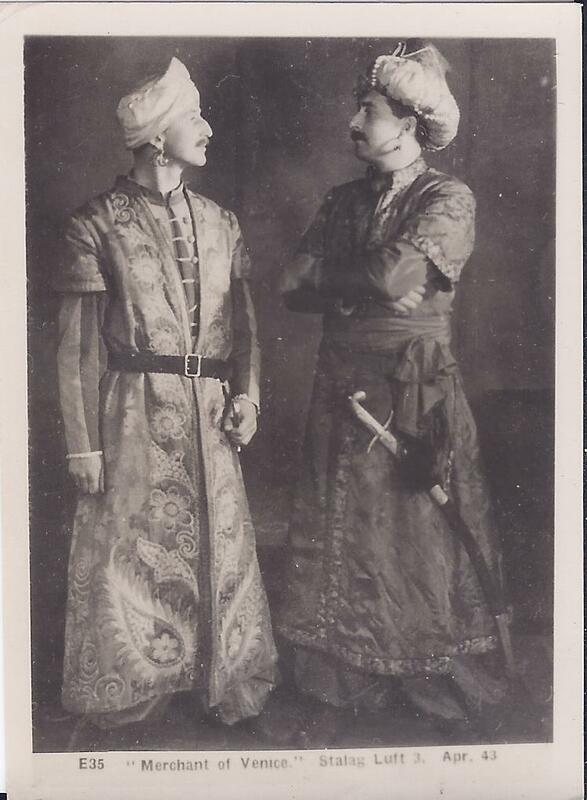 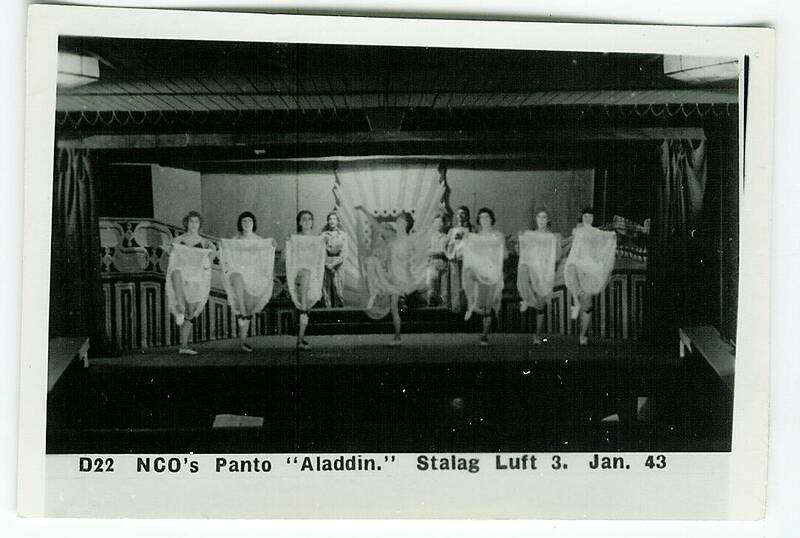 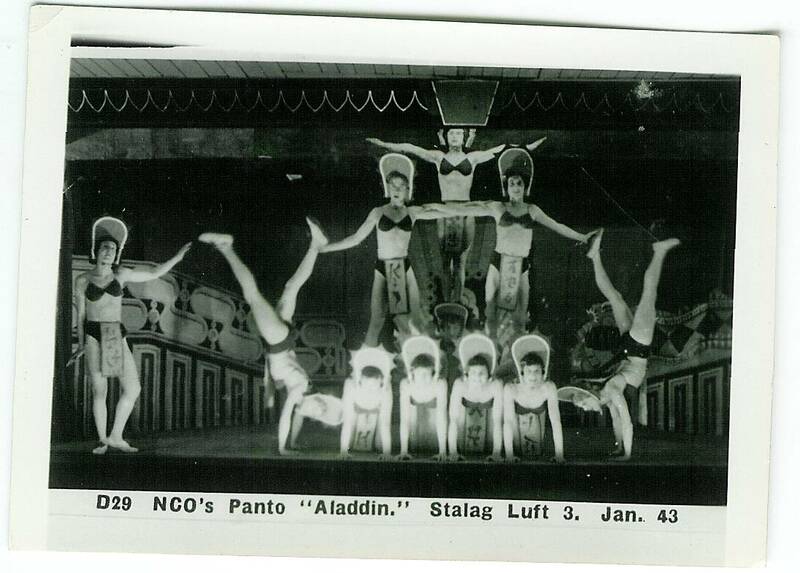 Stalag Luft 3 – Production of a Panto, “Aladdin” January 1943. 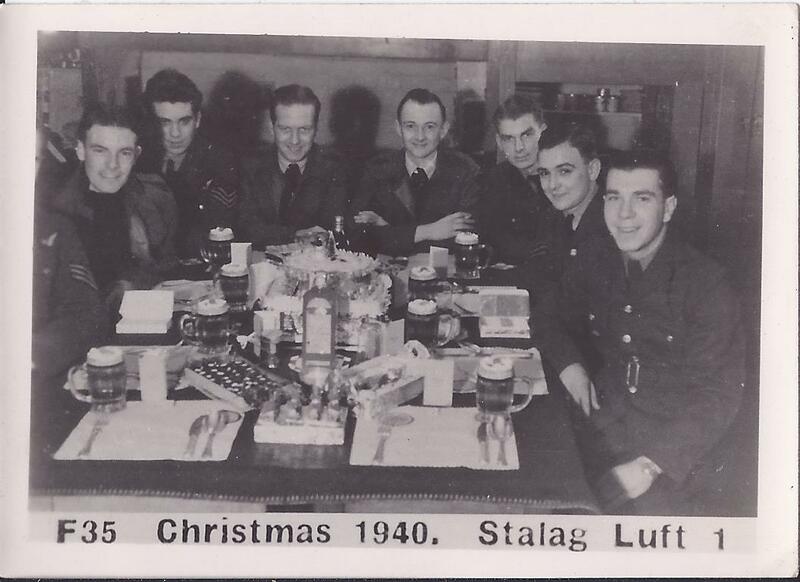 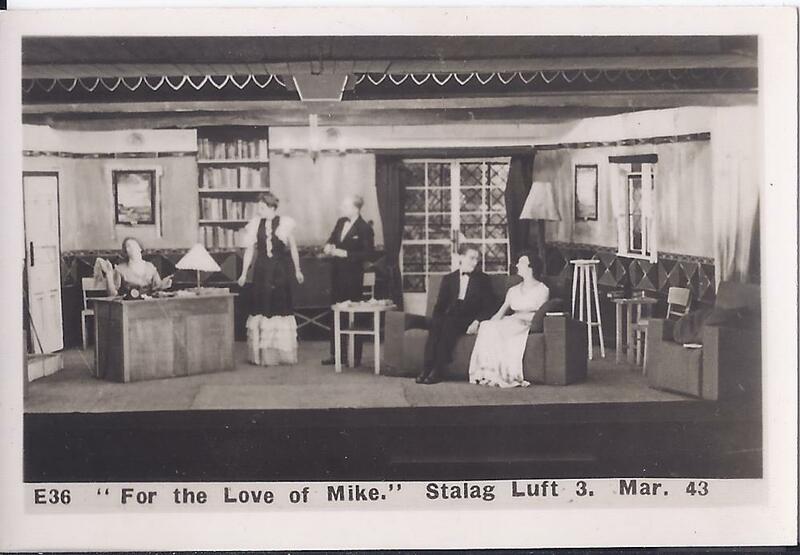 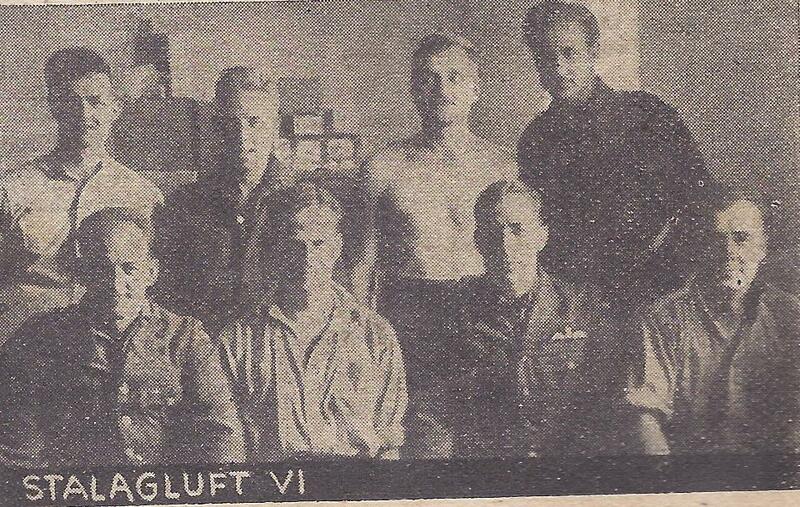 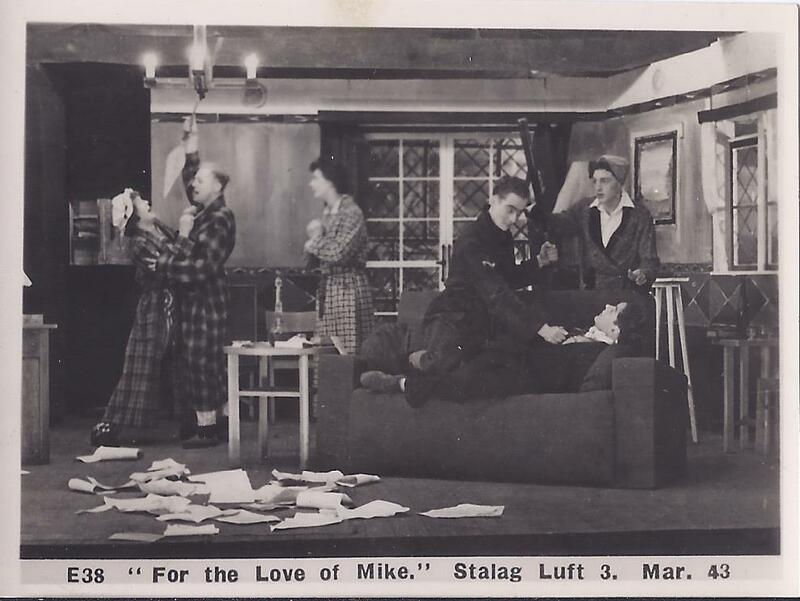 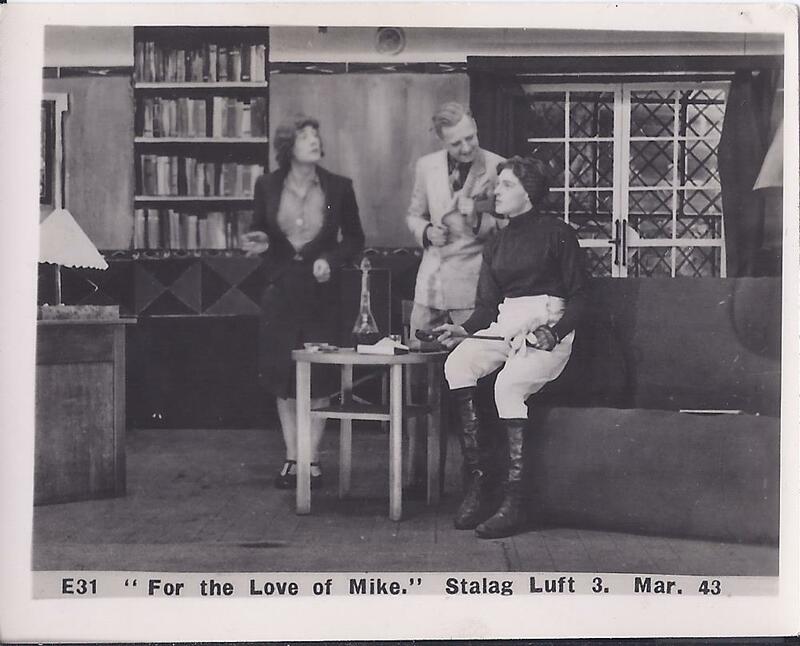 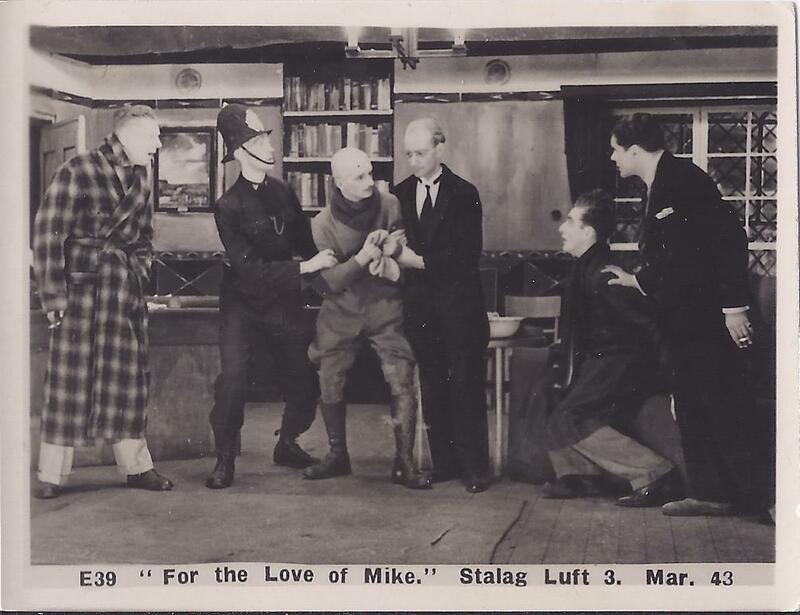 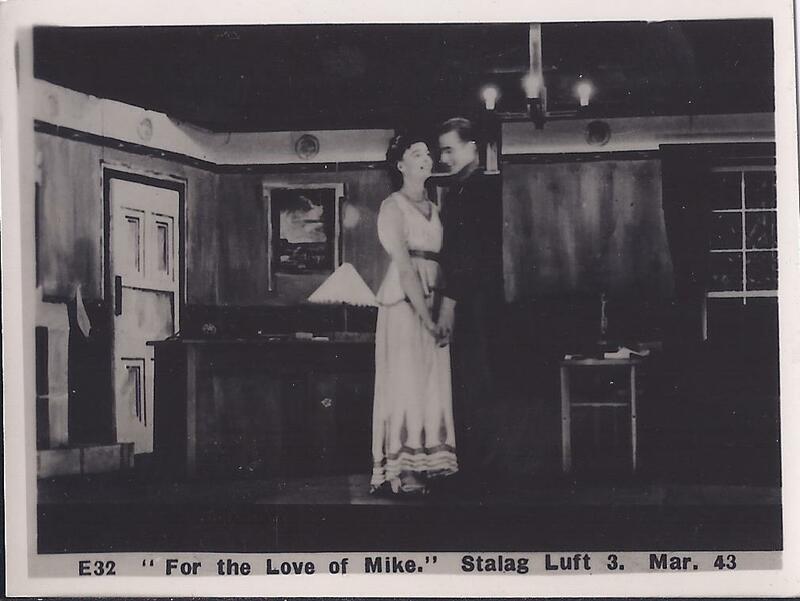 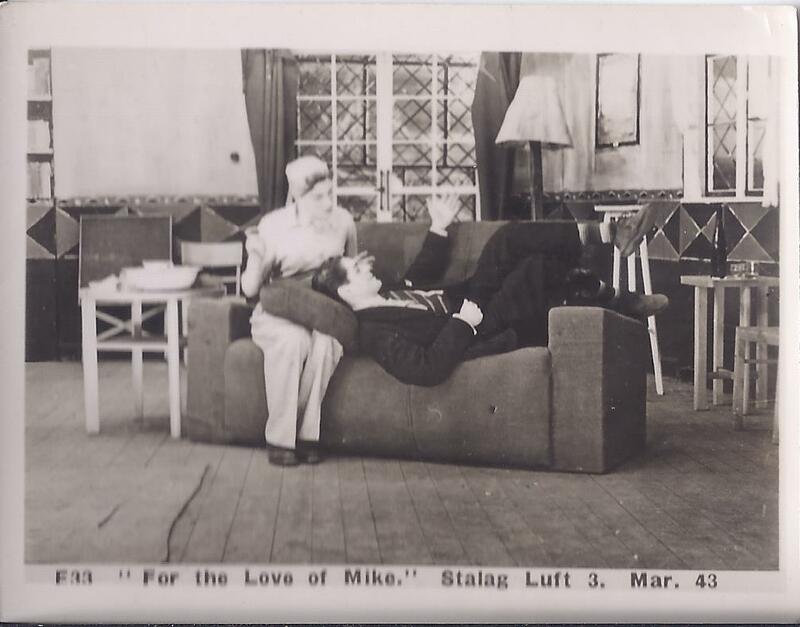 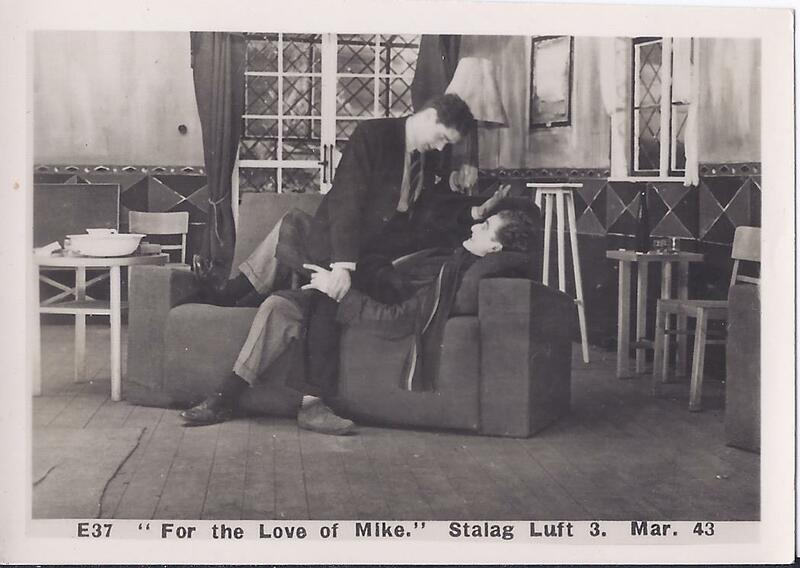 Stalag Luft 3 – Production of “For the love of Mike” March 1943. 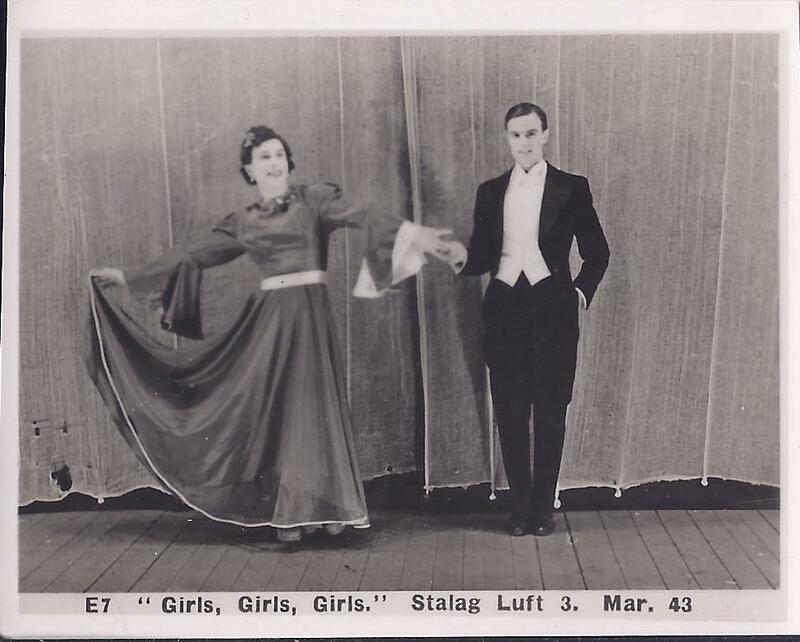 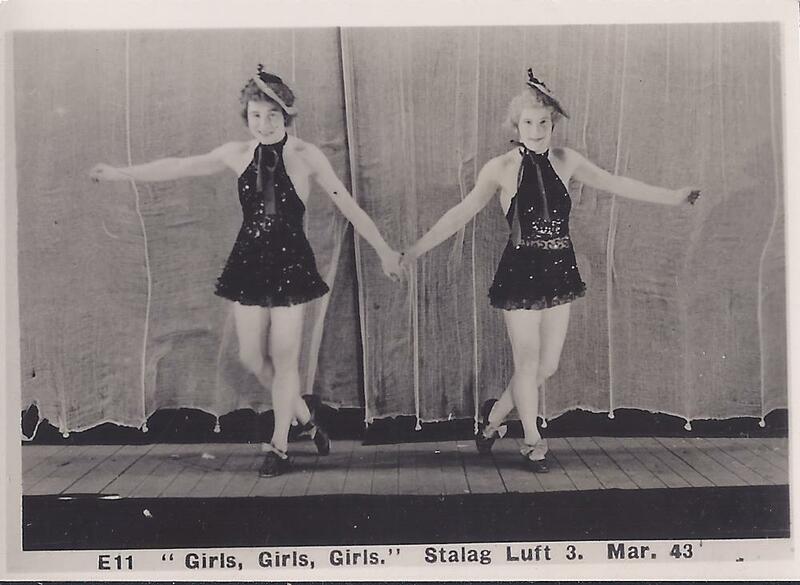 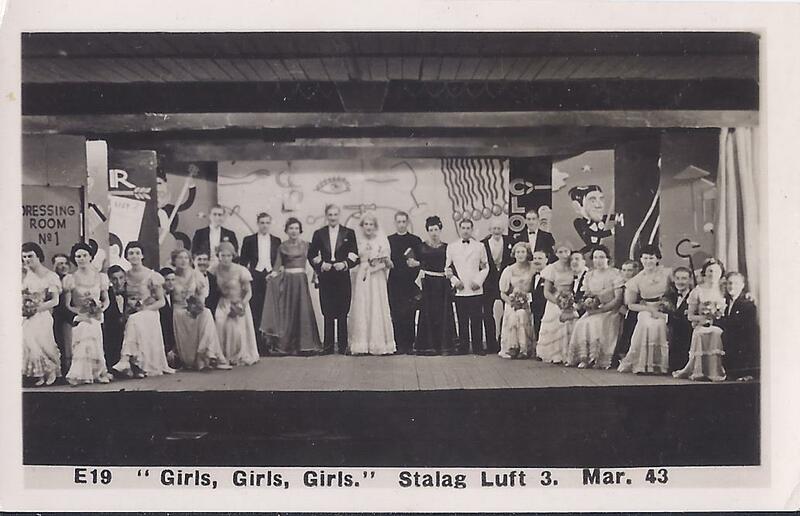 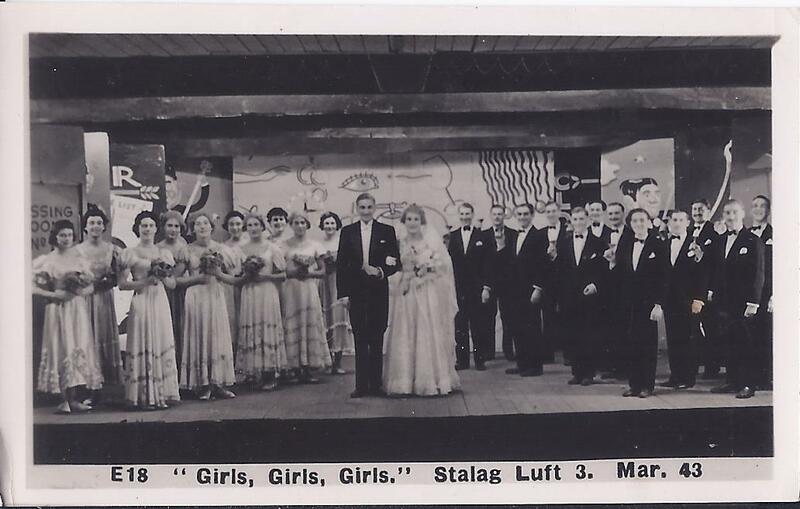 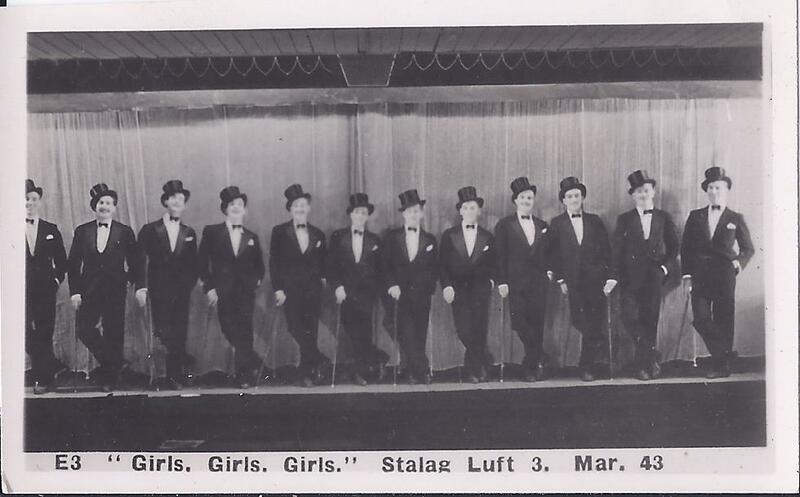 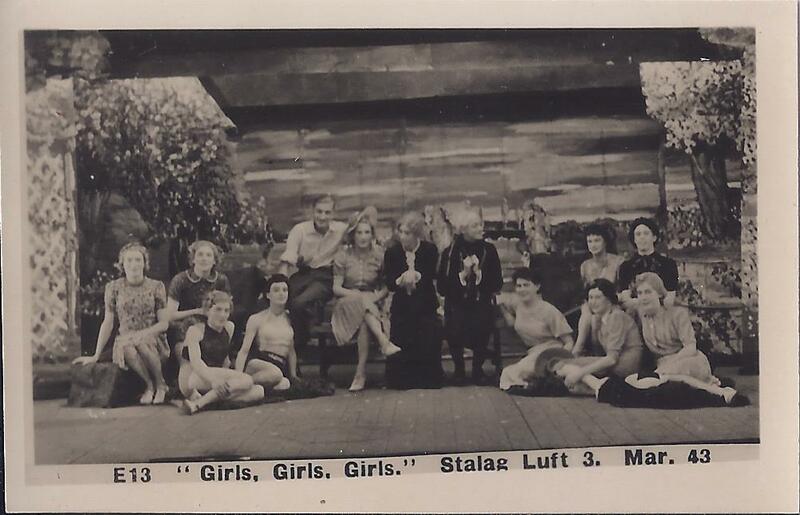 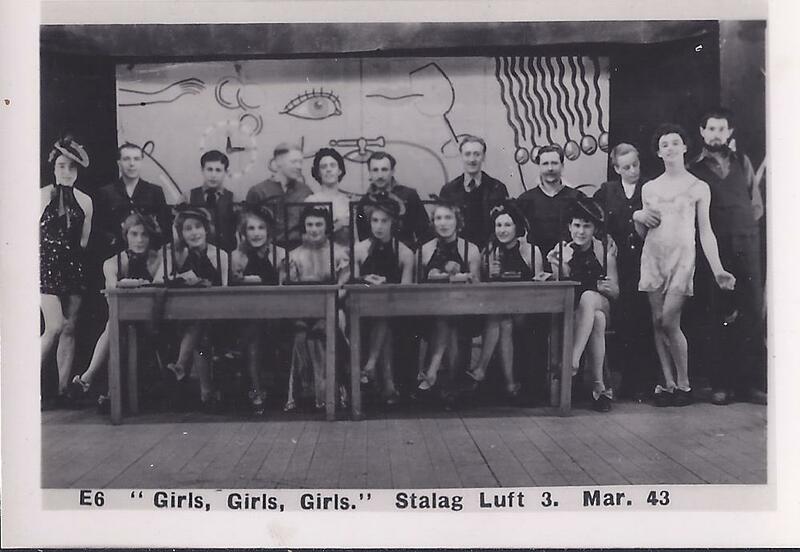 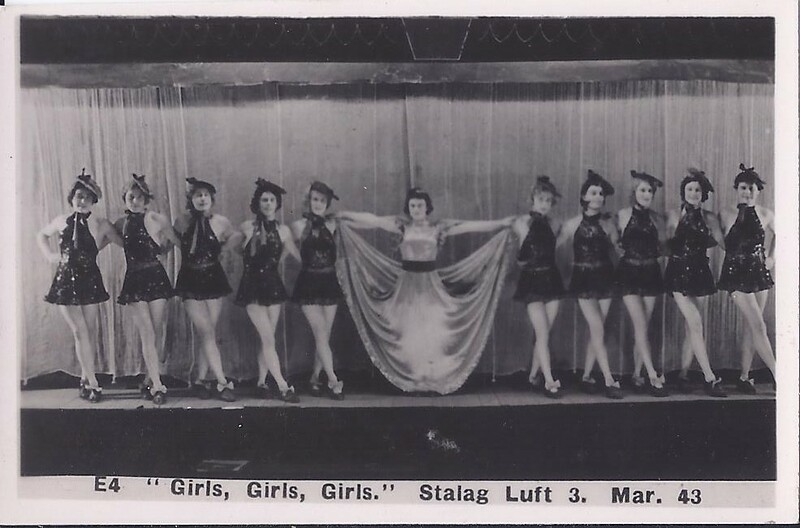 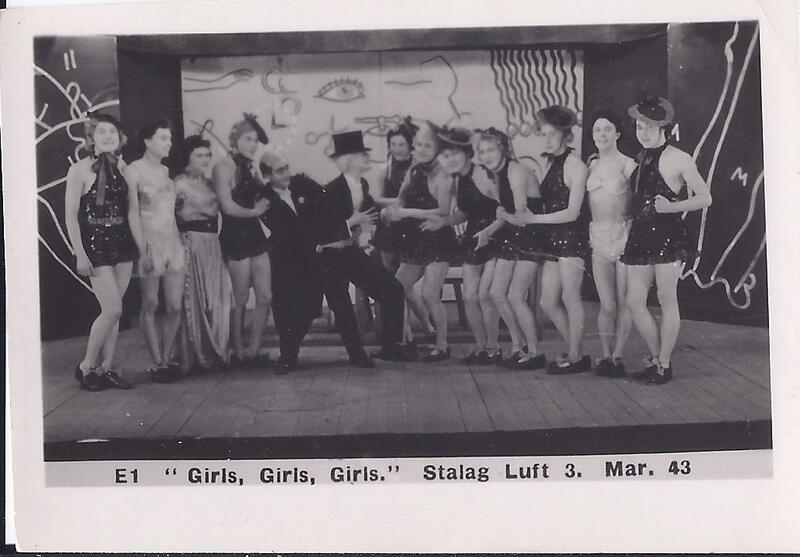 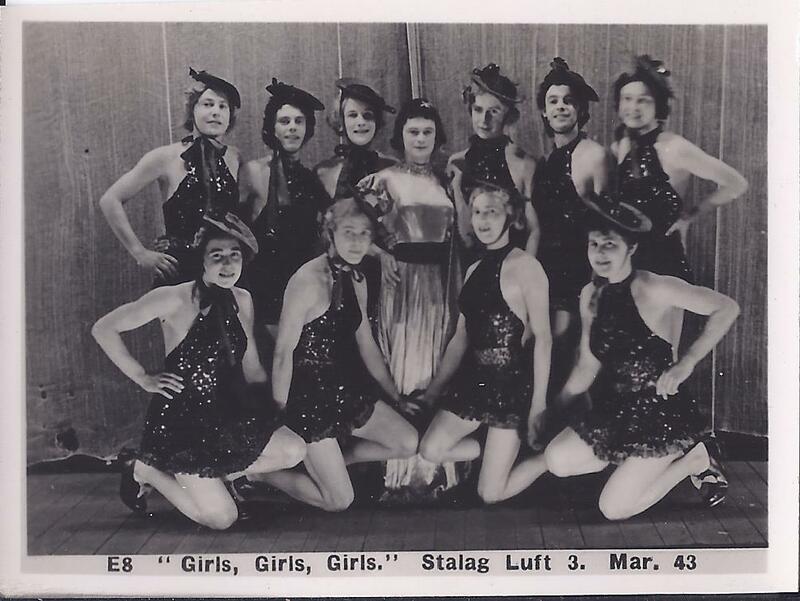 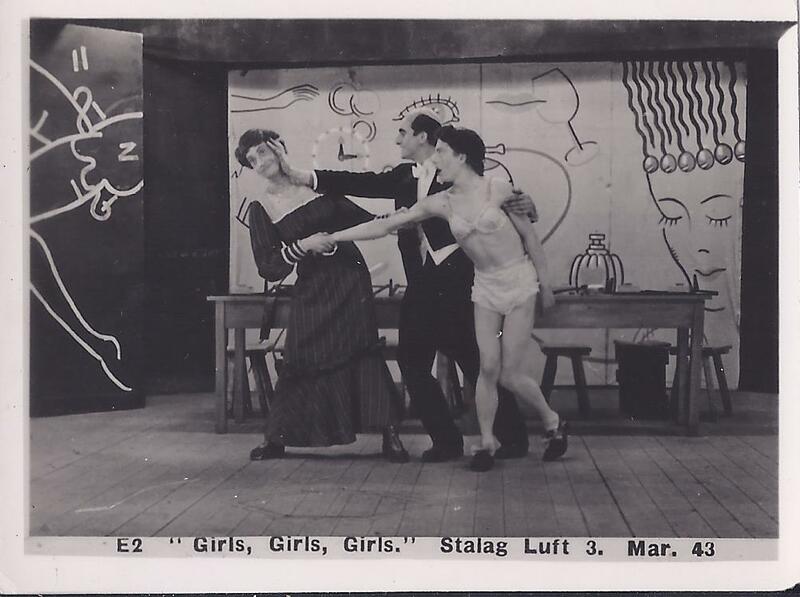 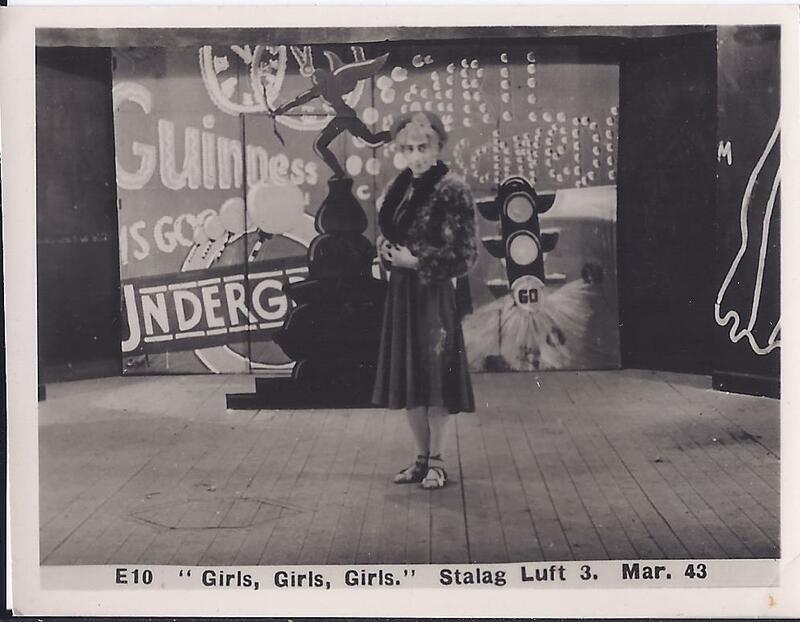 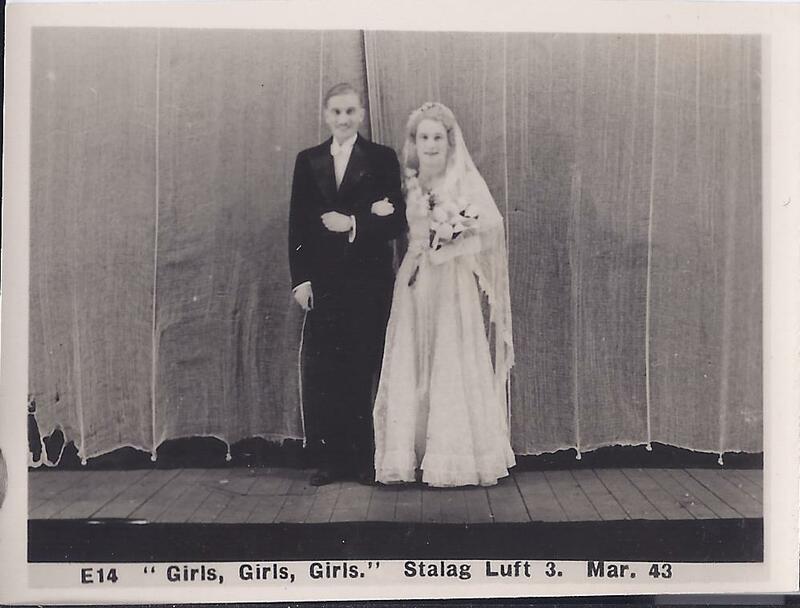 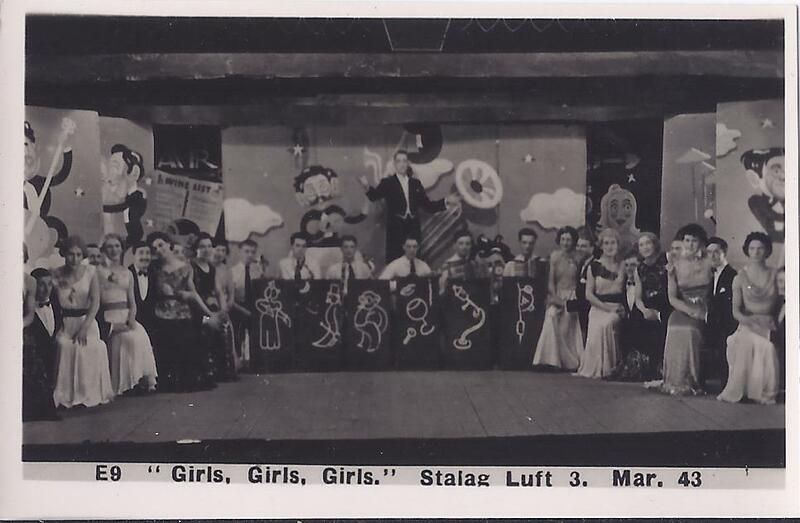 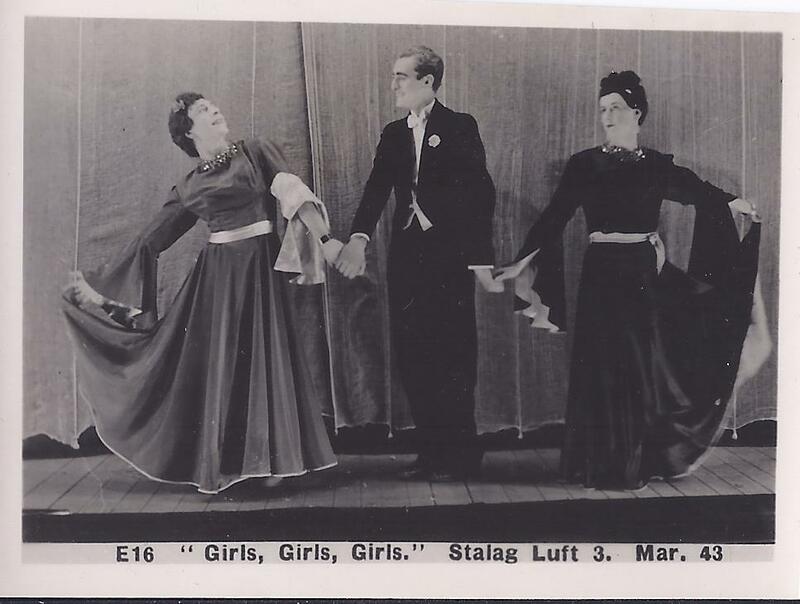 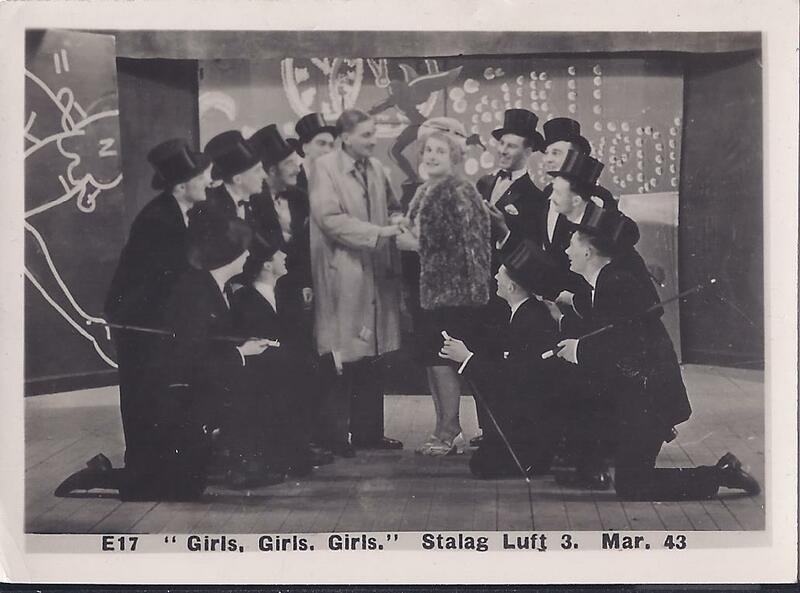 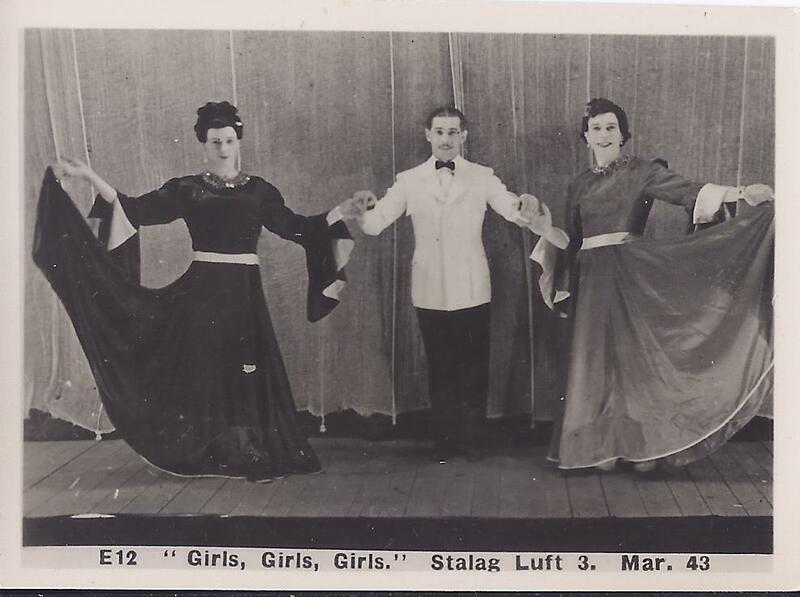 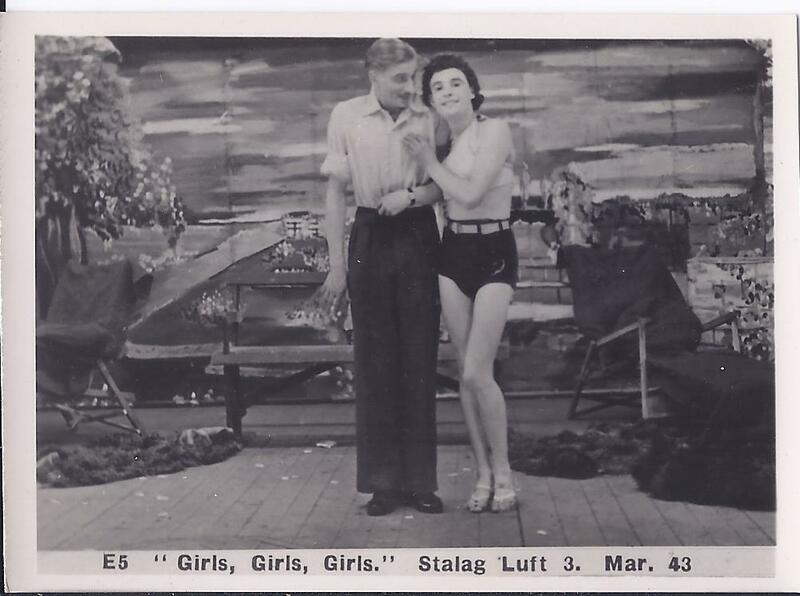 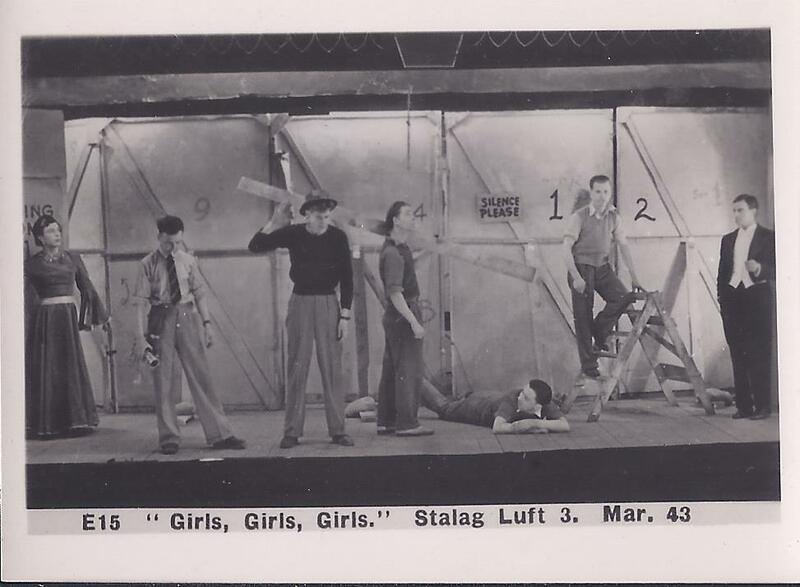 Stalag Luft 3 – Production of “Girls, Girls, Girls” – March 1943. 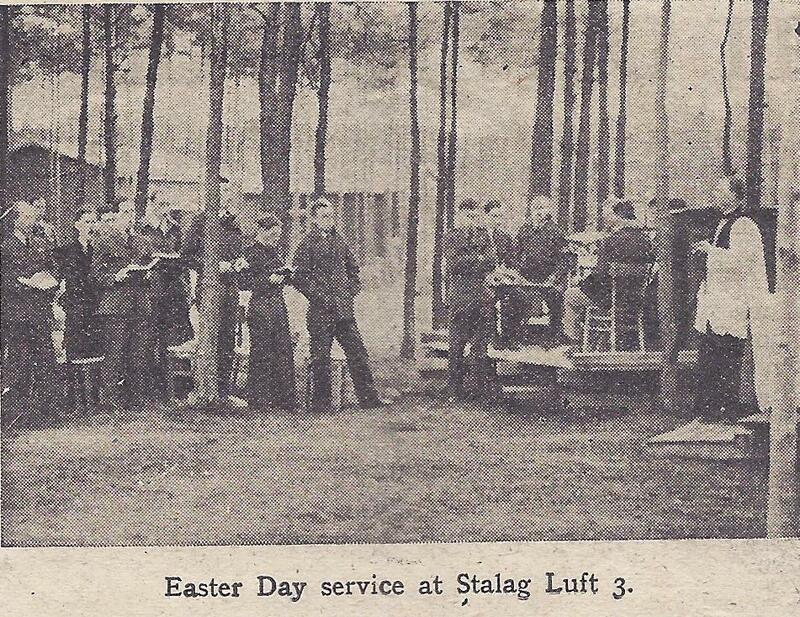 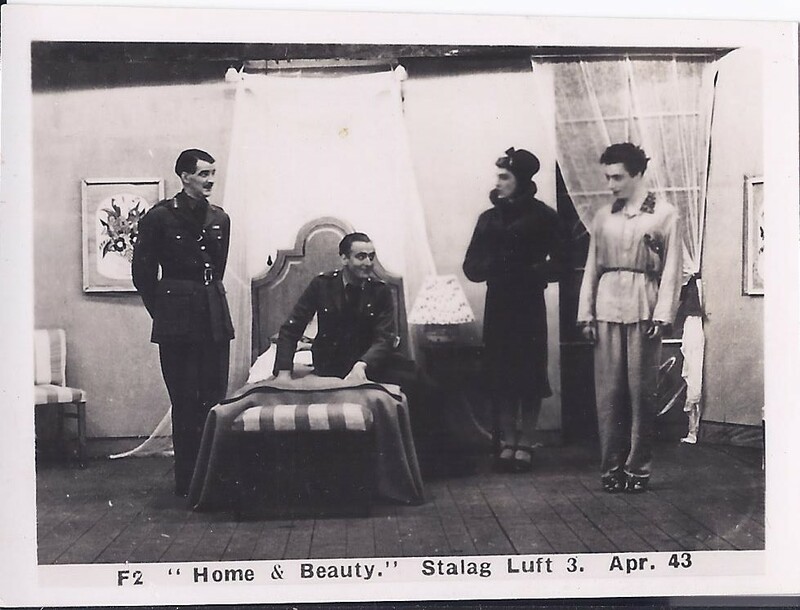 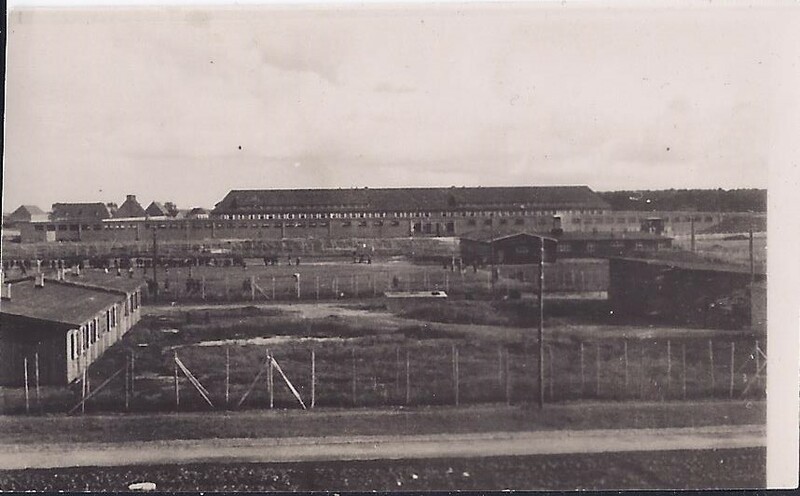 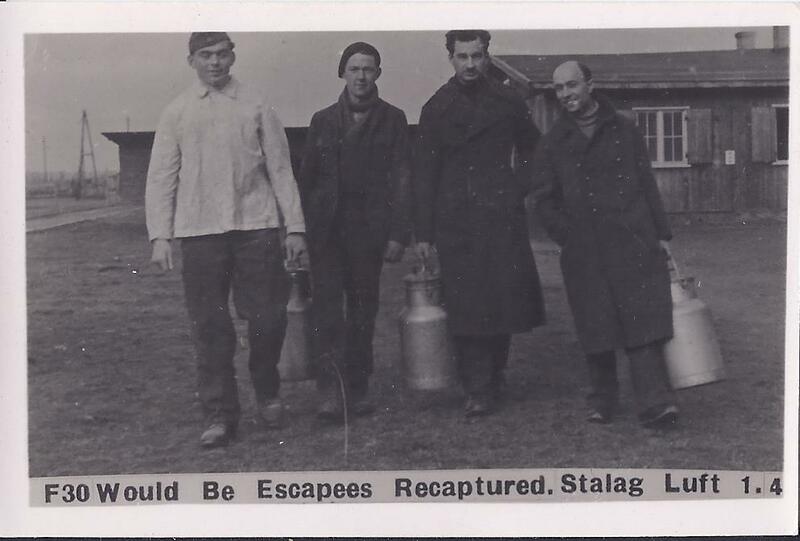 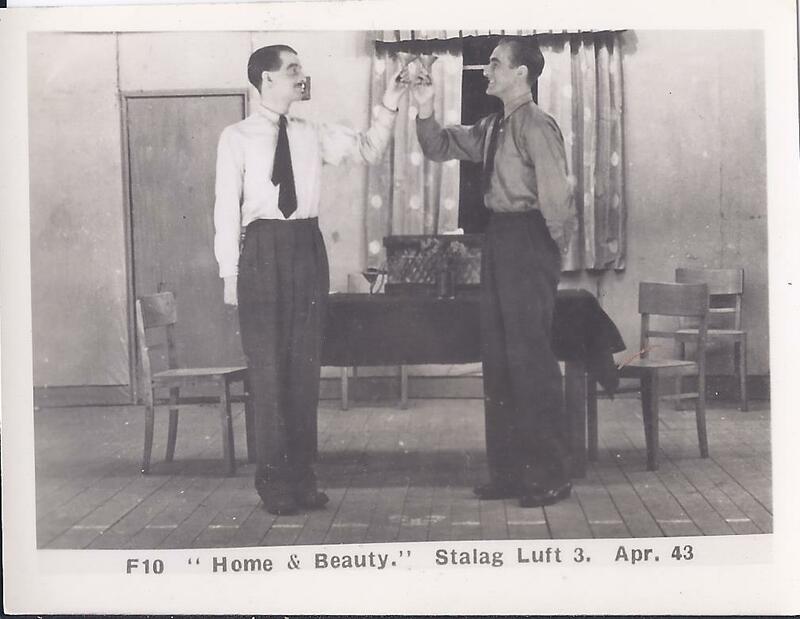 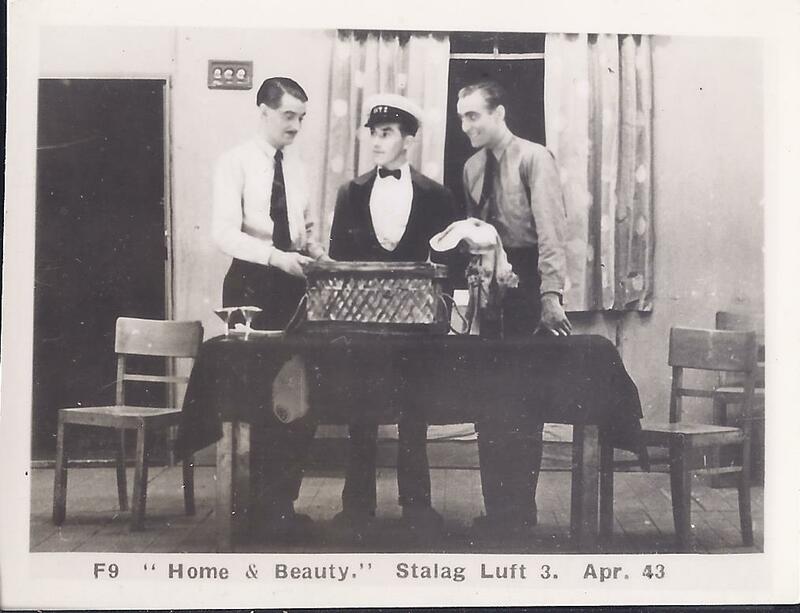 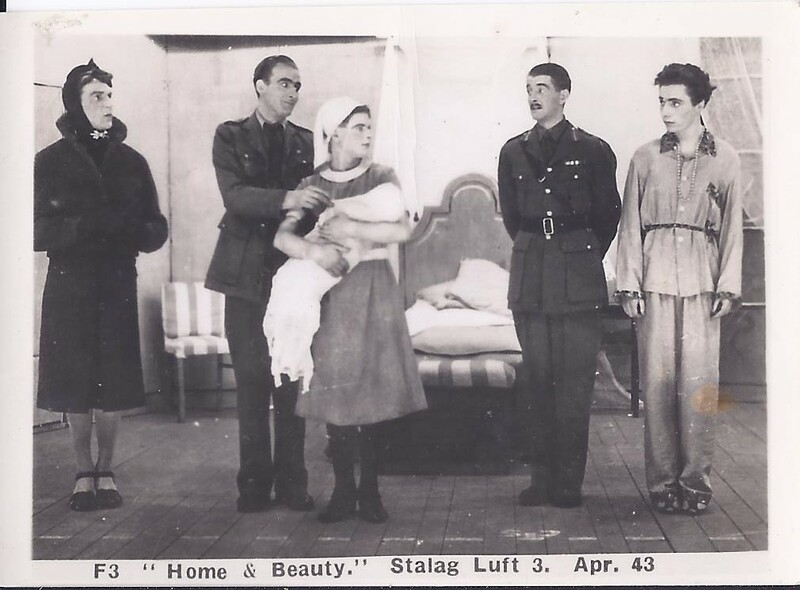 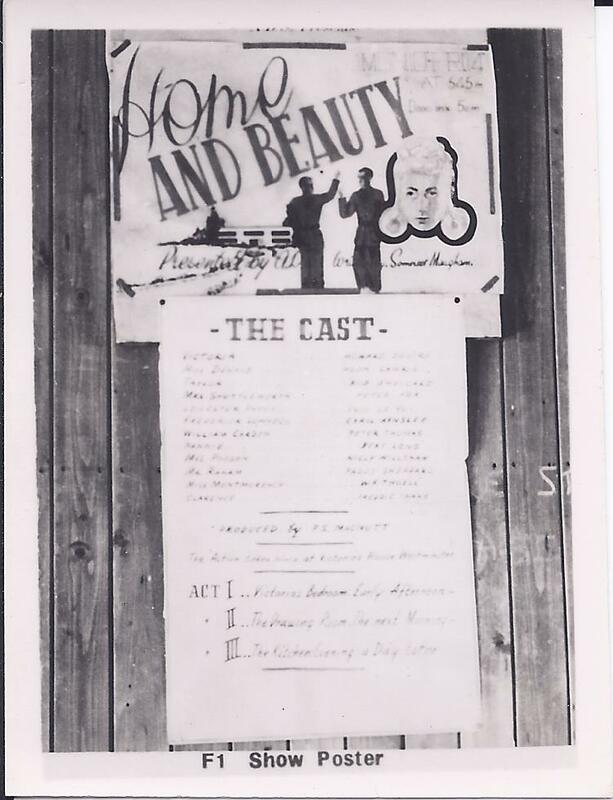 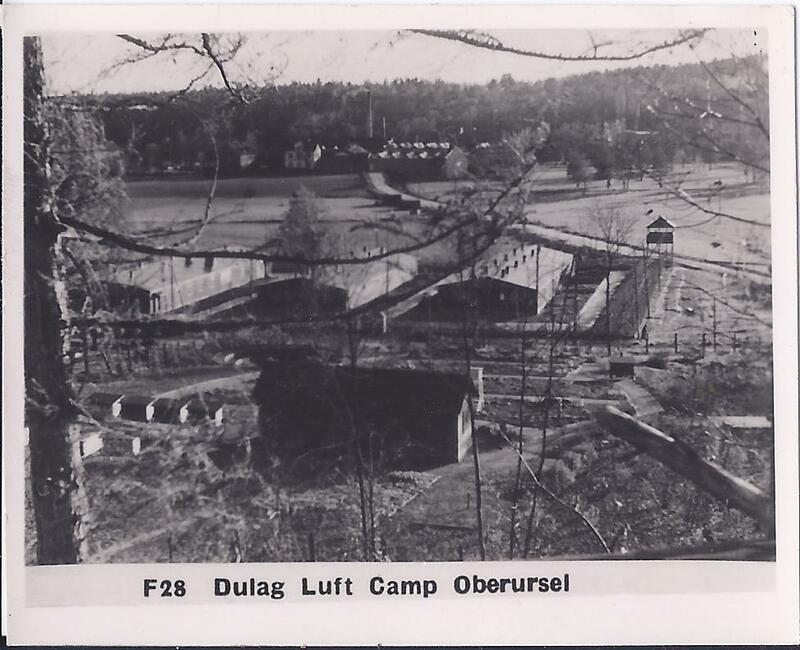 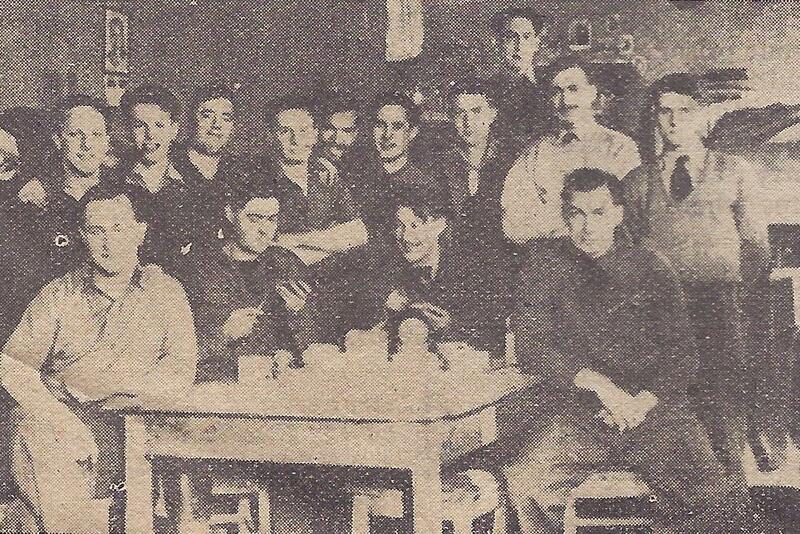 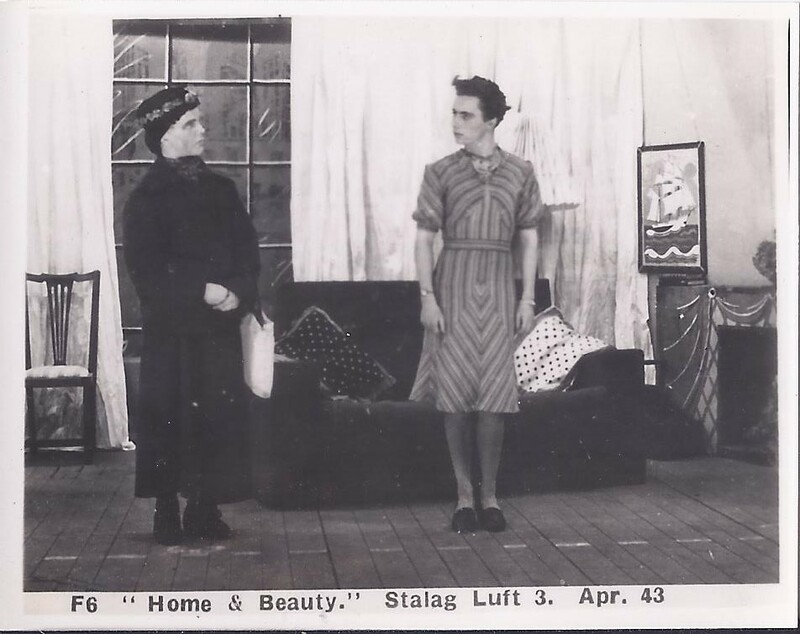 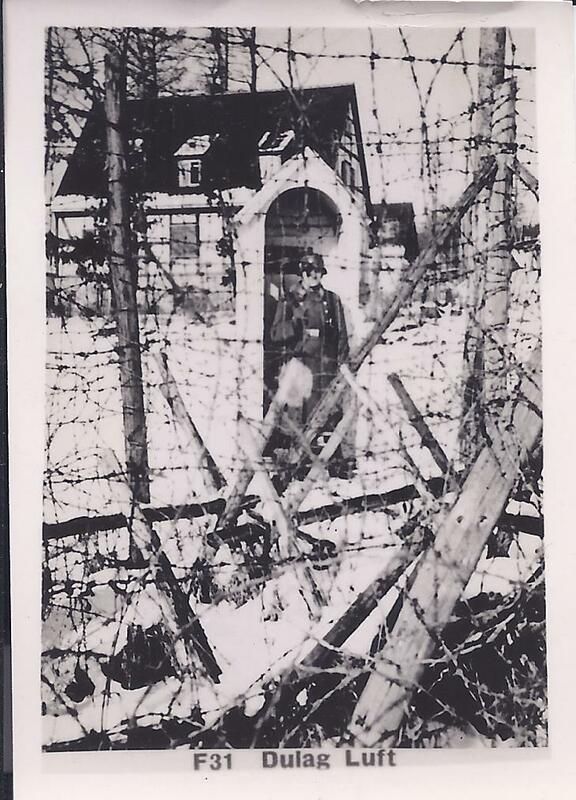 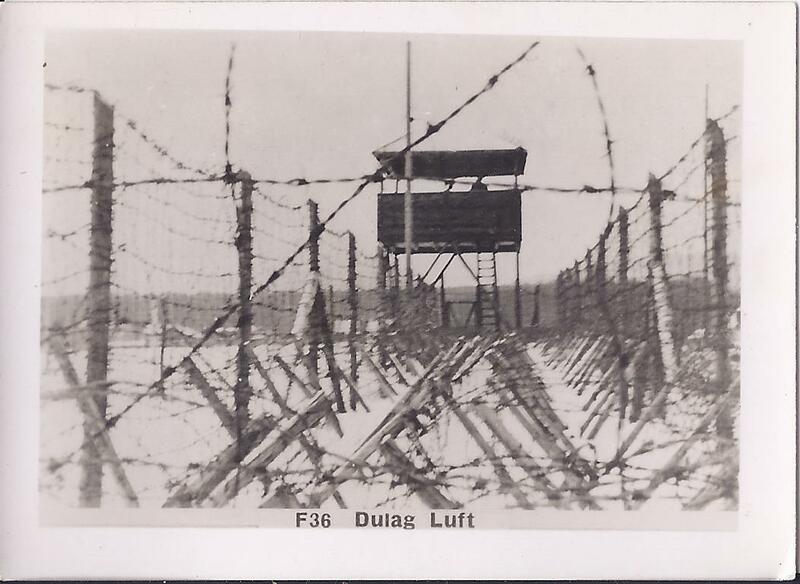 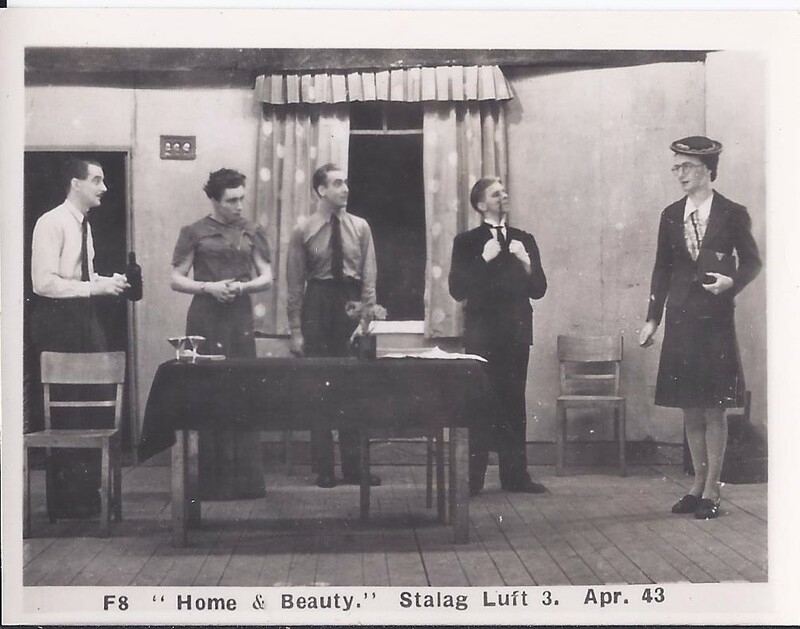 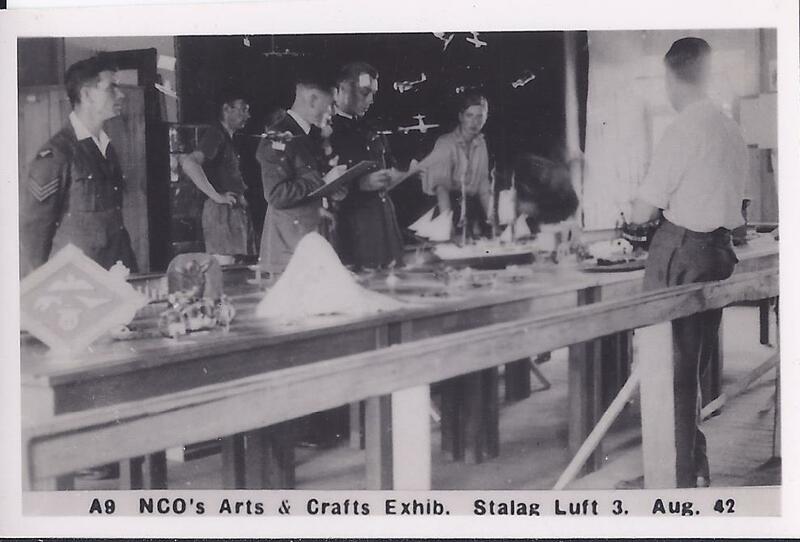 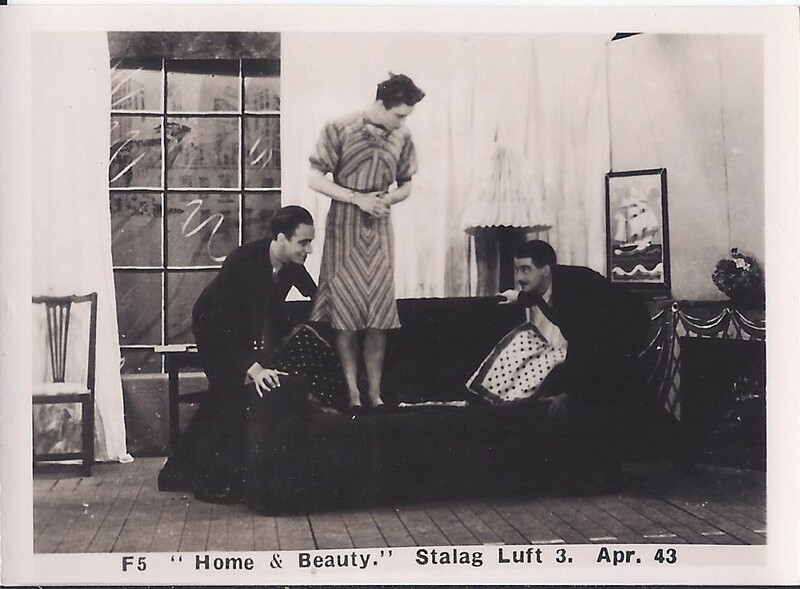 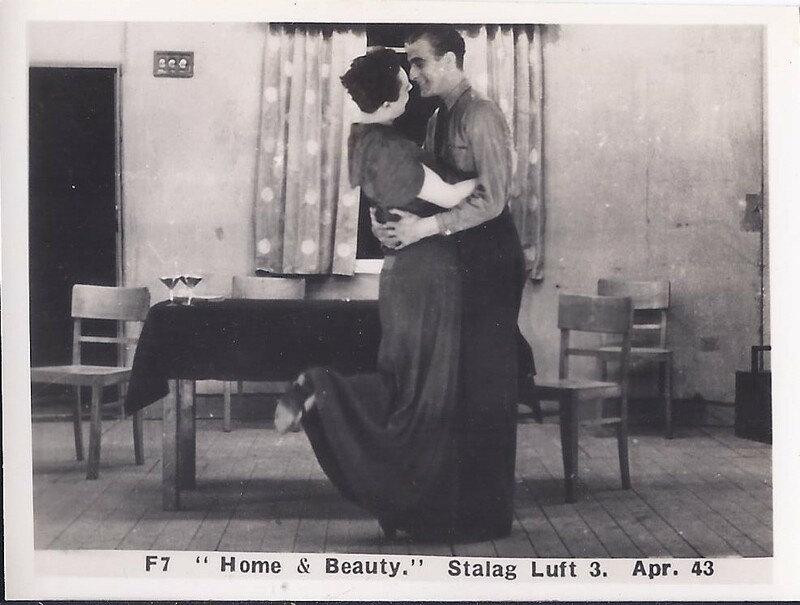 Stalag Luft 3 – Production of “Home and Beauty” – April 1943. 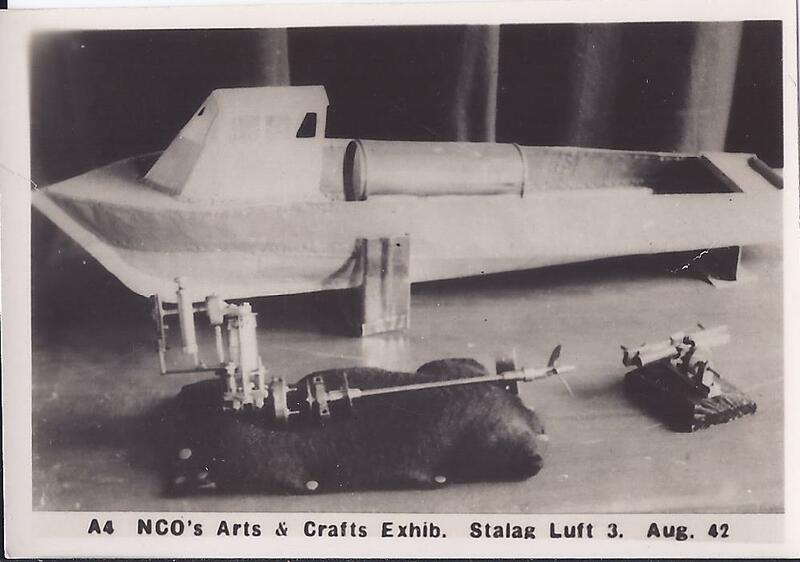 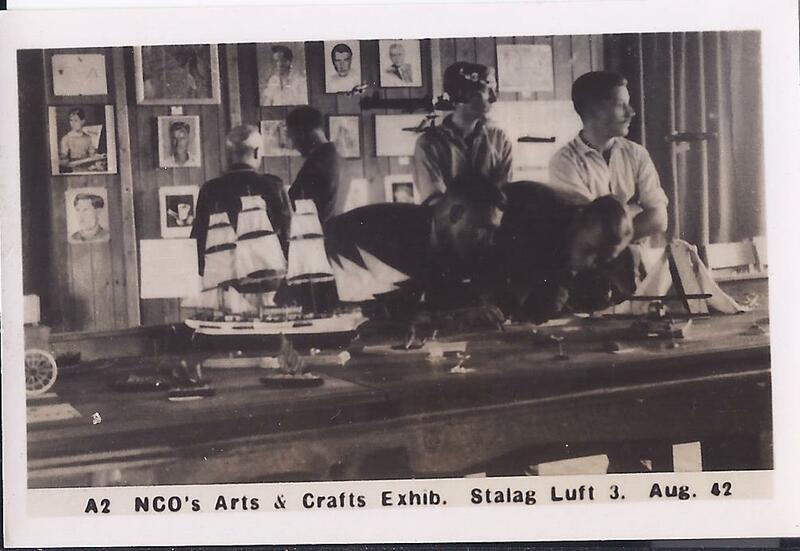 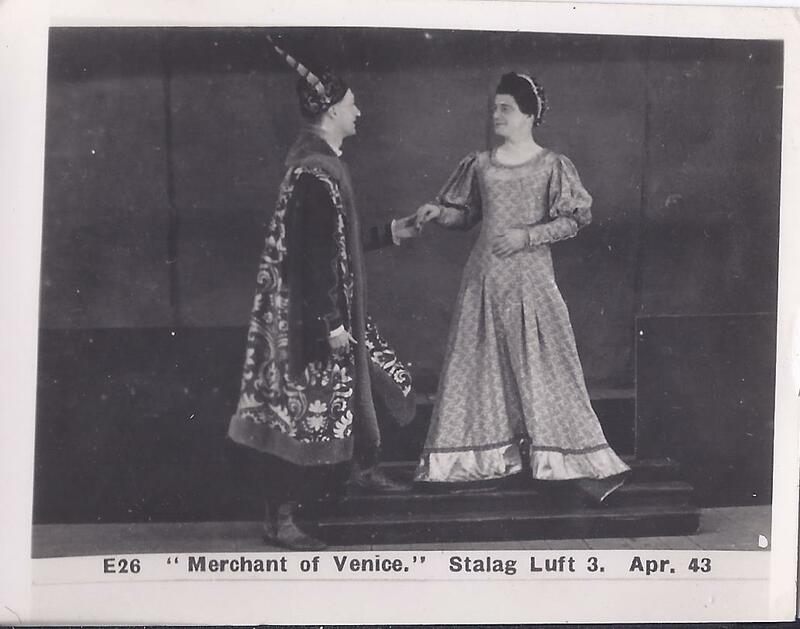 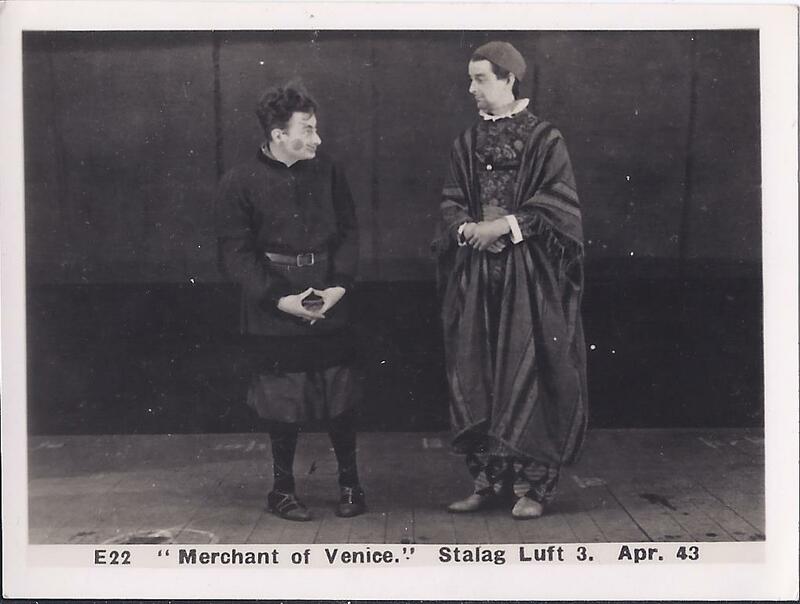 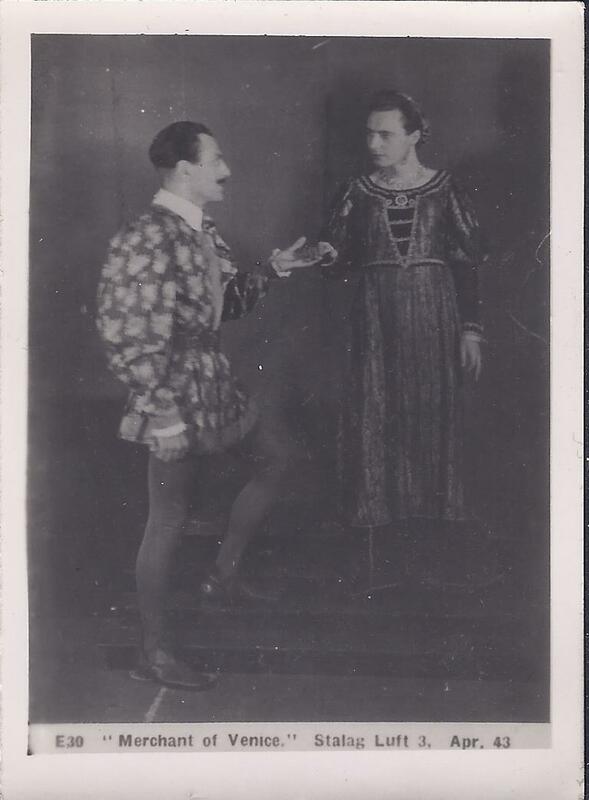 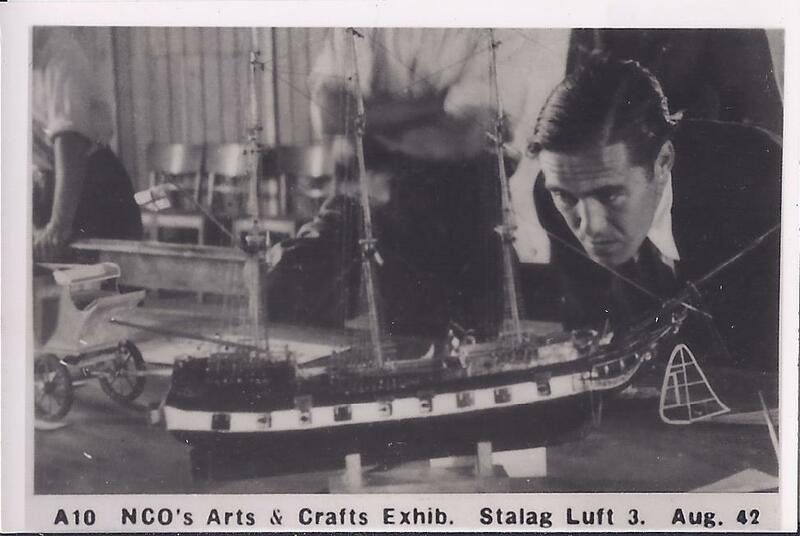 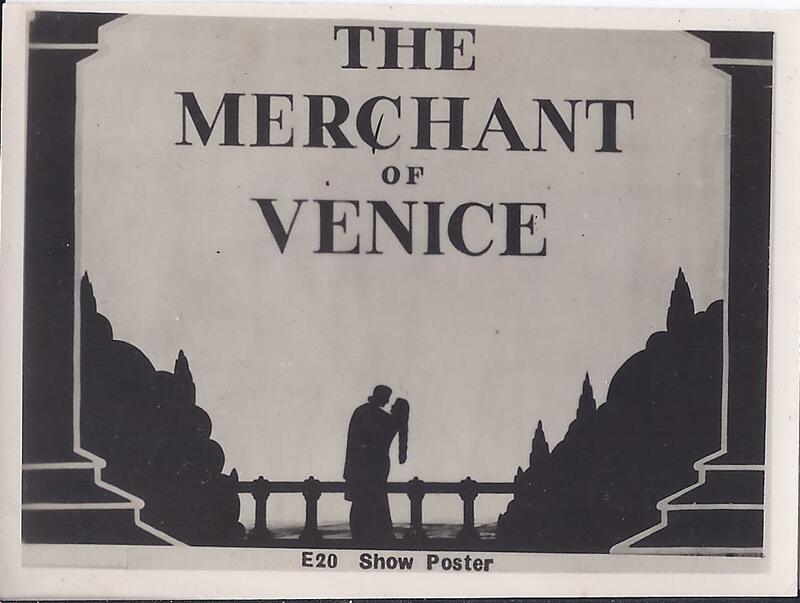 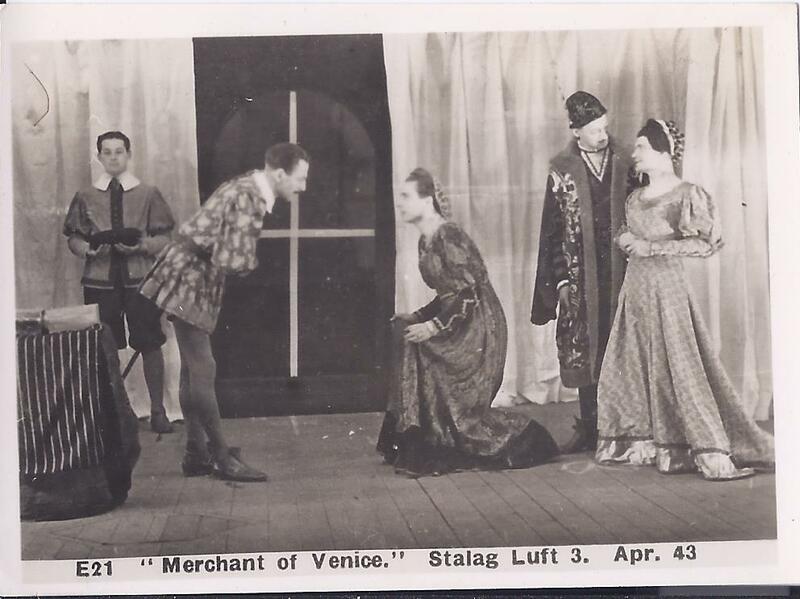 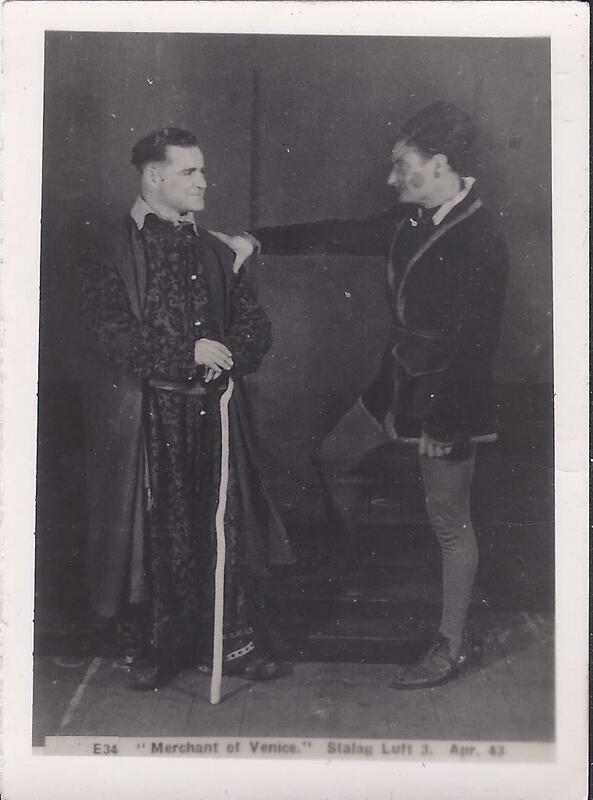 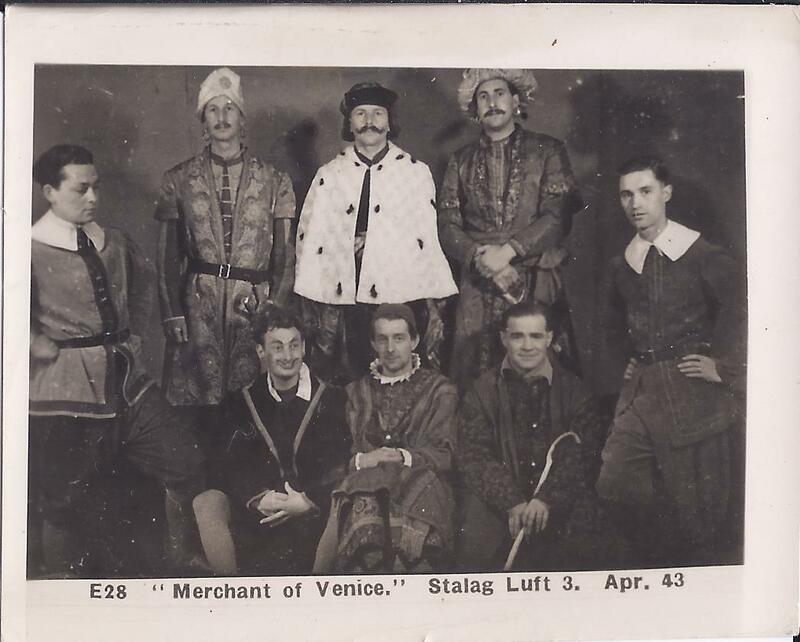 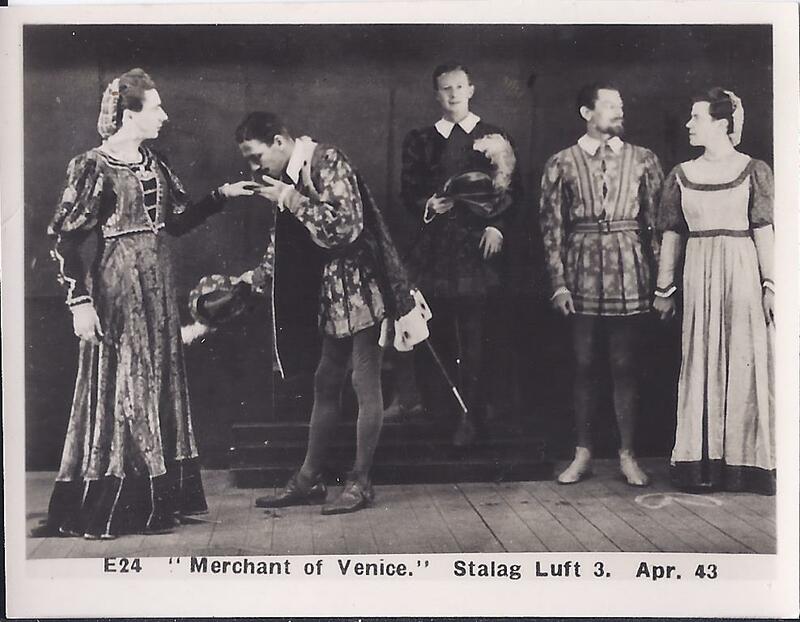 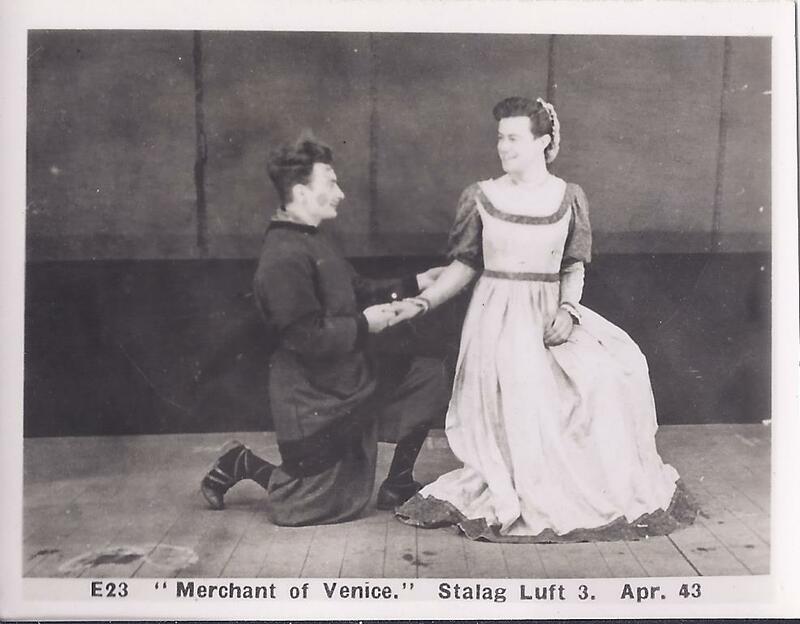 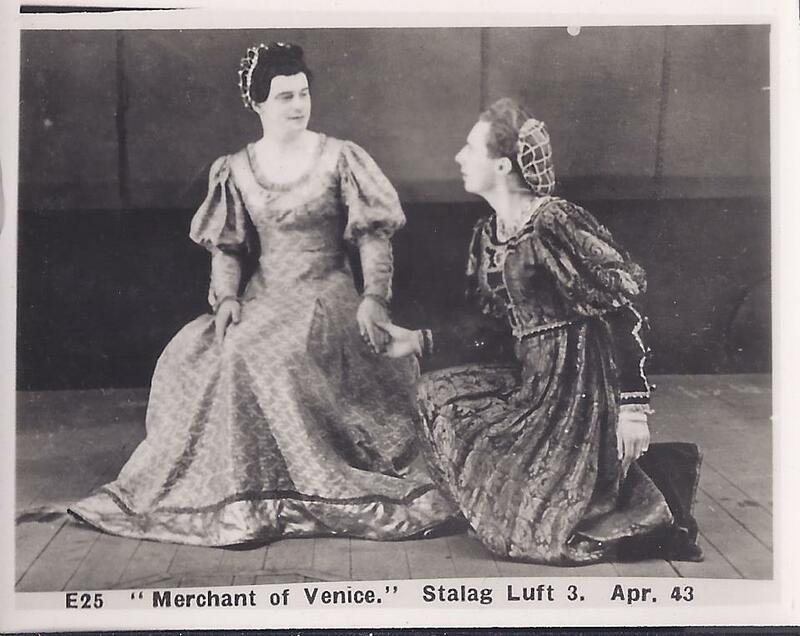 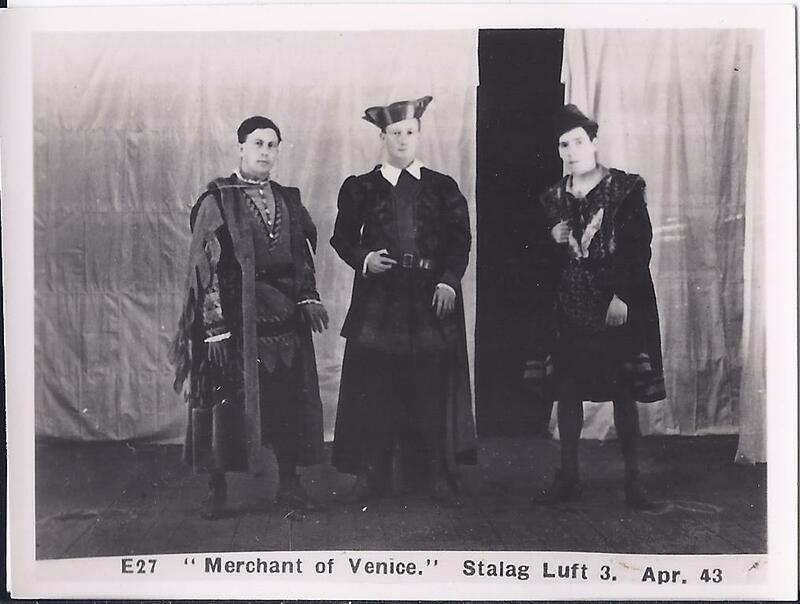 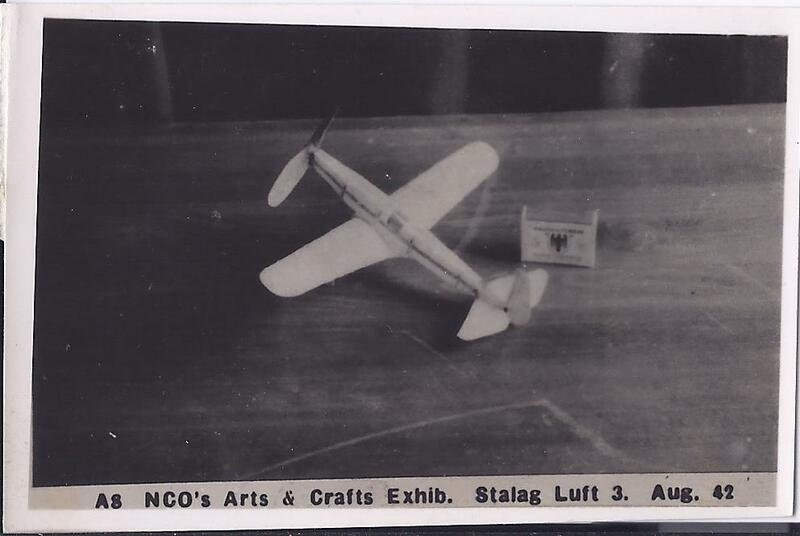 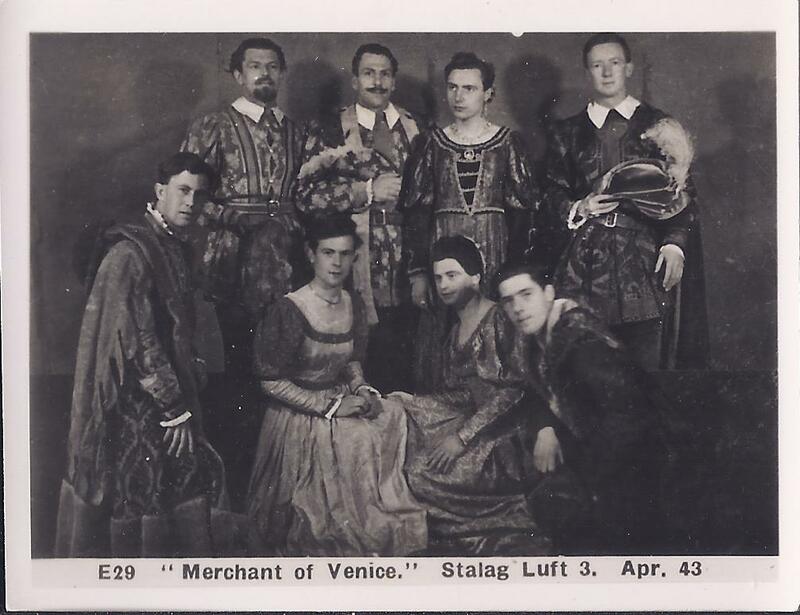 Stalag Luft 3 – Production of “Merchant of Venice” – April 1943. 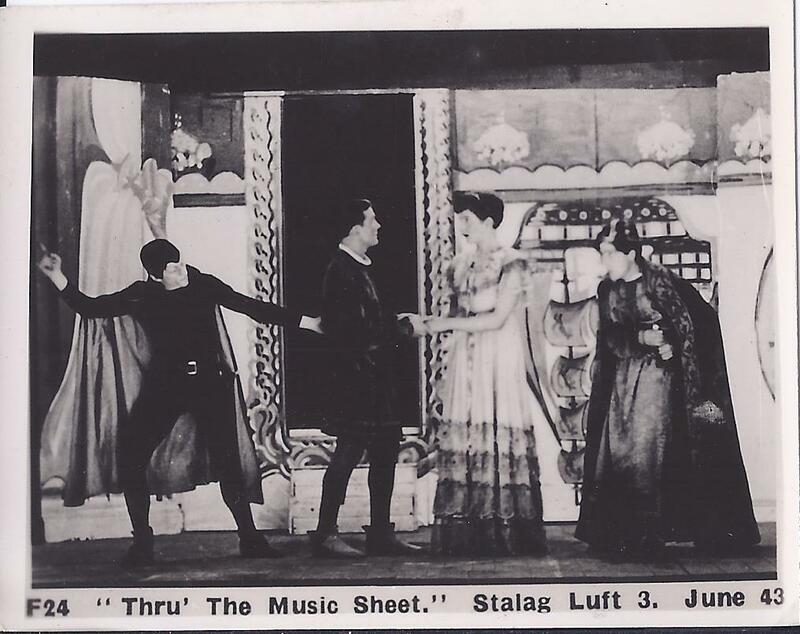 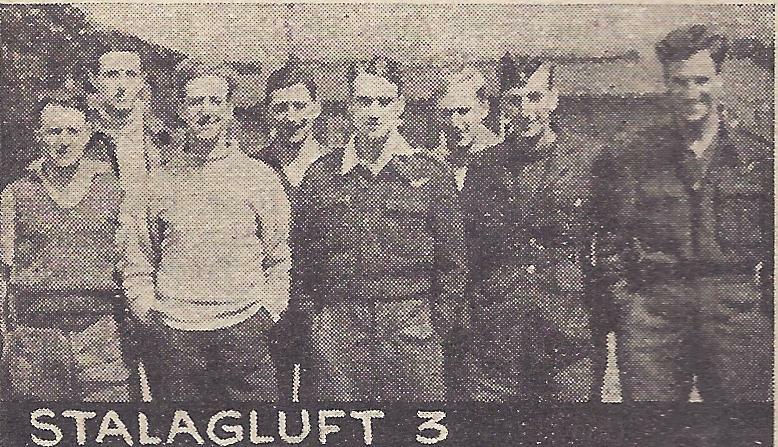 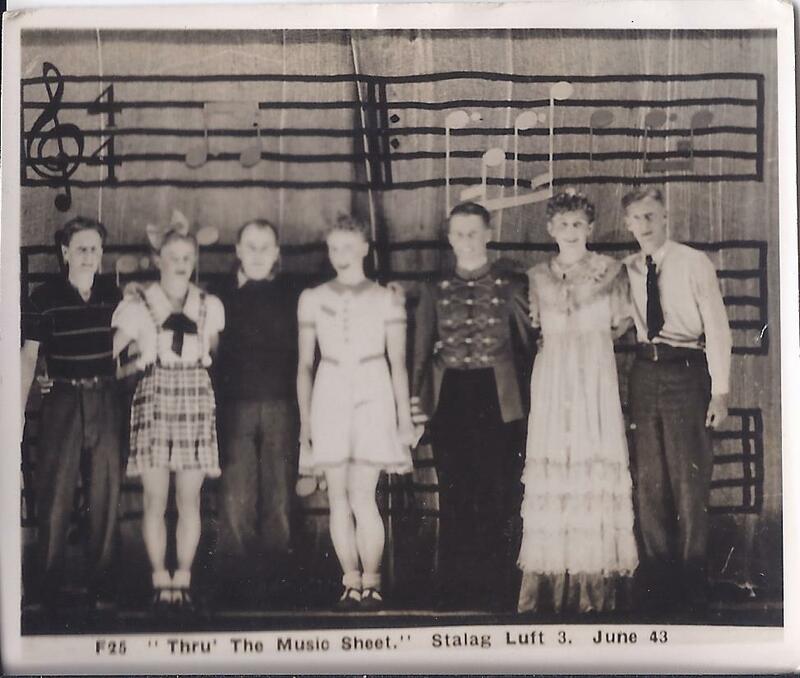 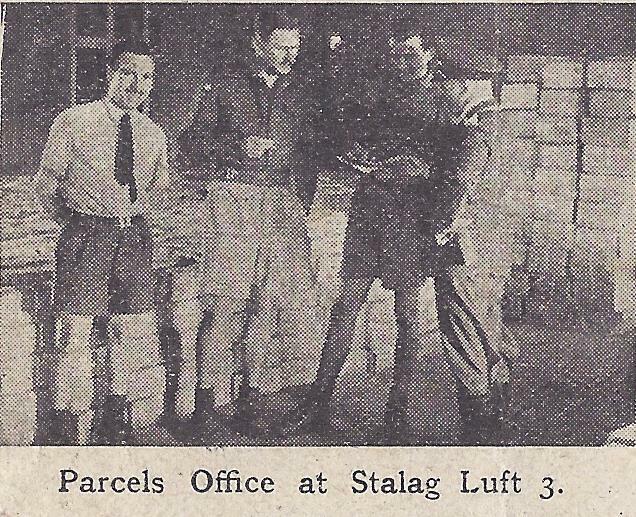 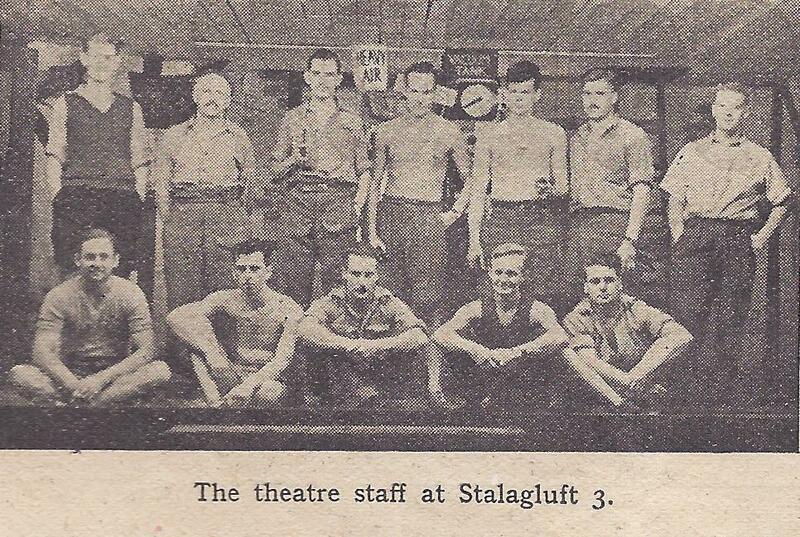 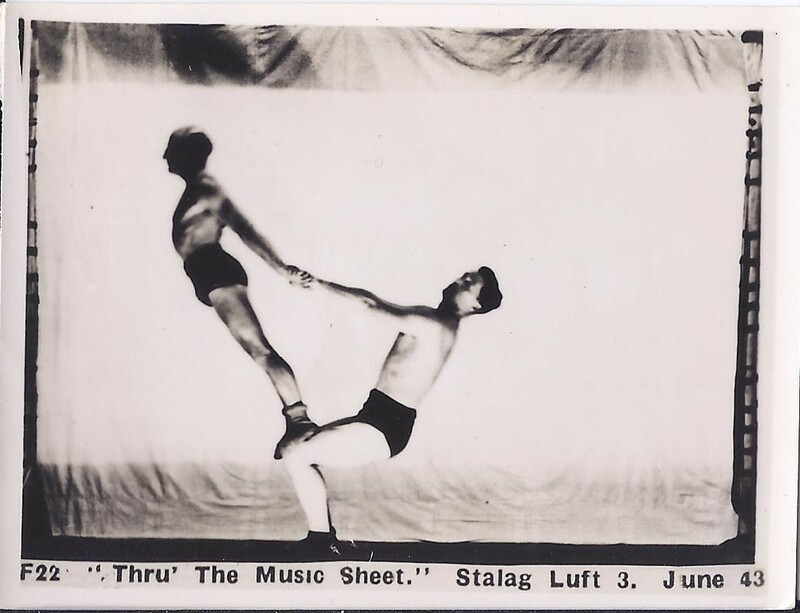 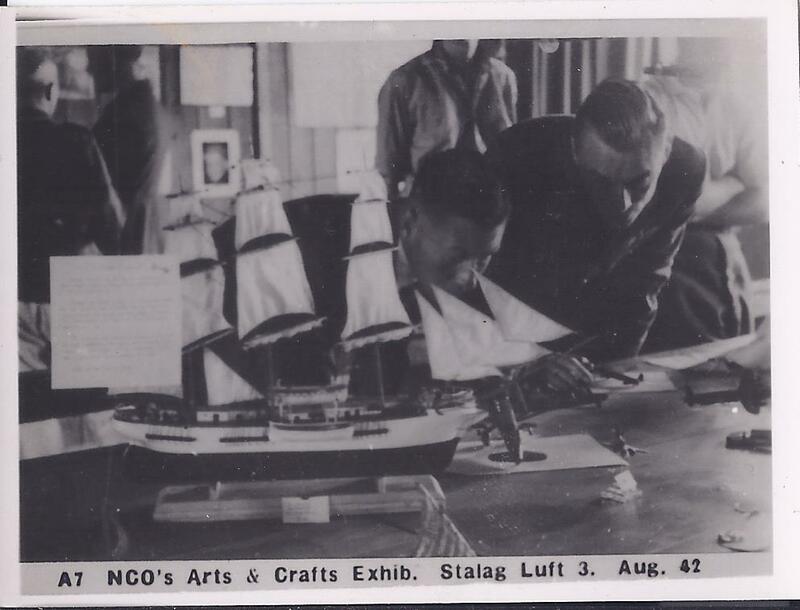 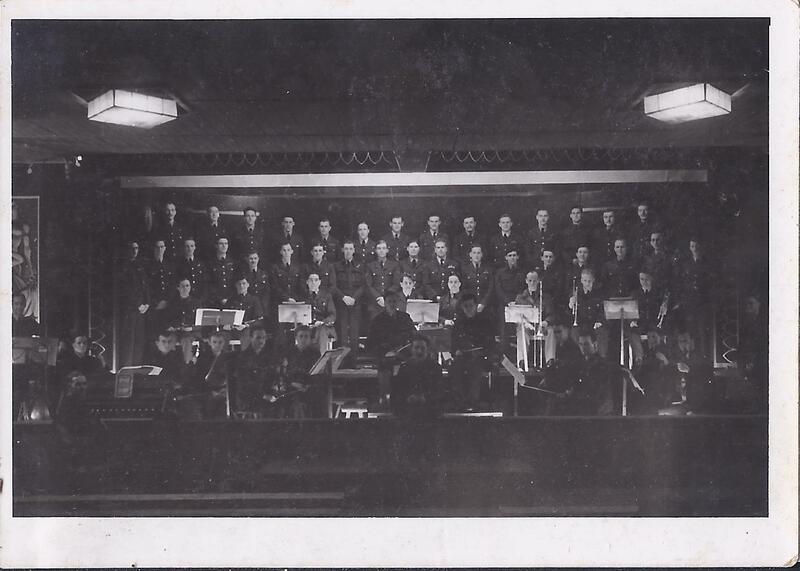 Stalag Luft 3 – Production of “Thru the Music Sheet” – June 1943. 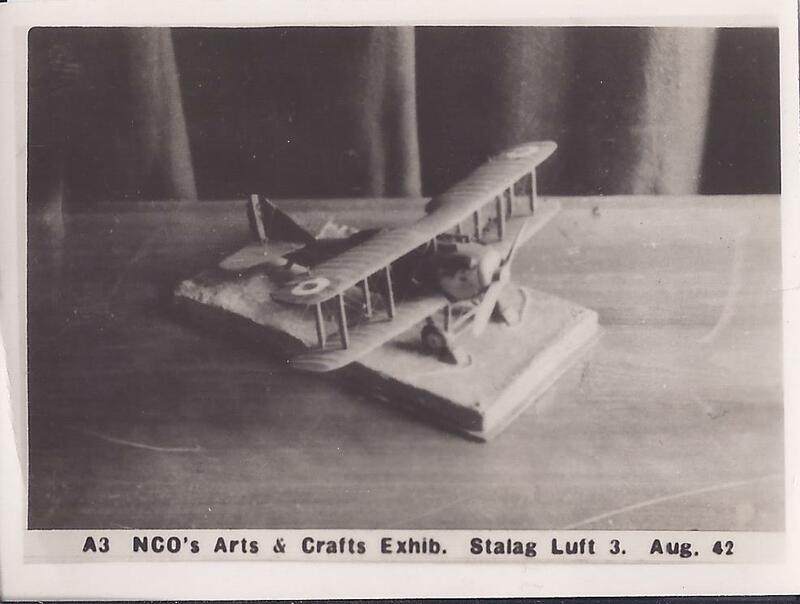 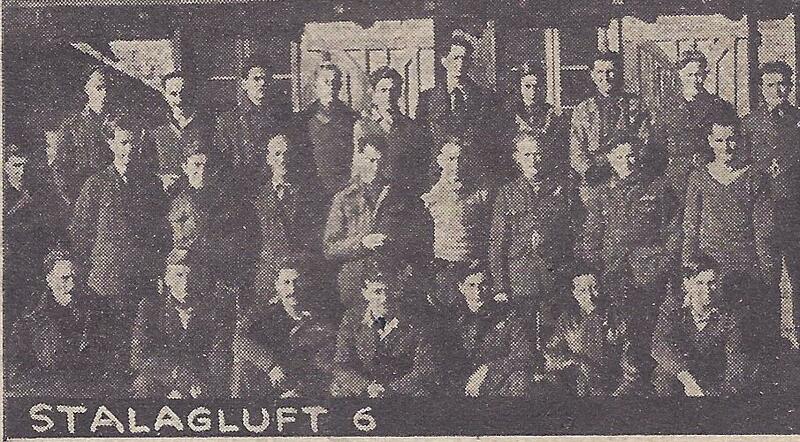 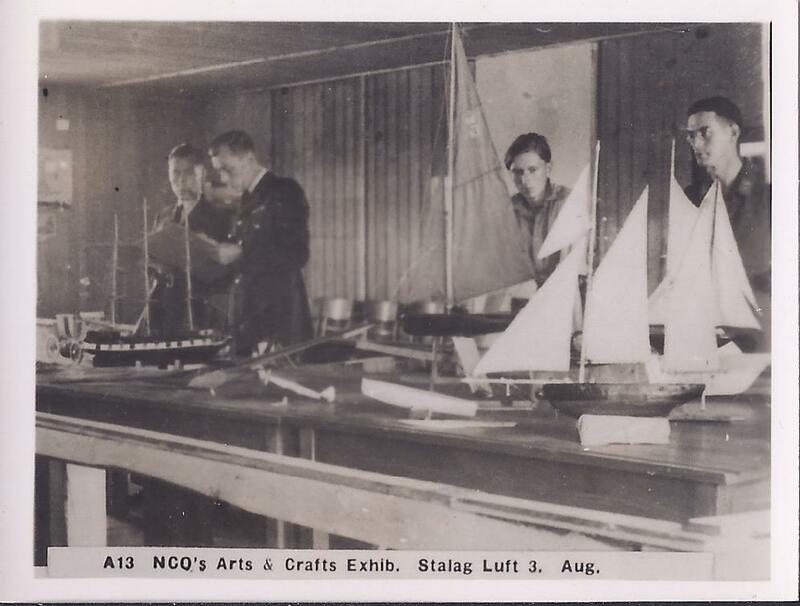 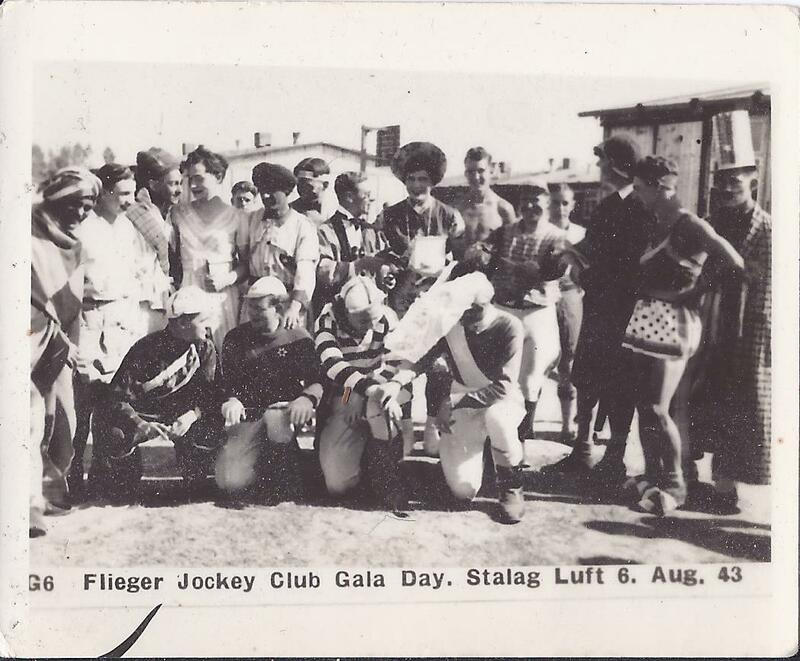 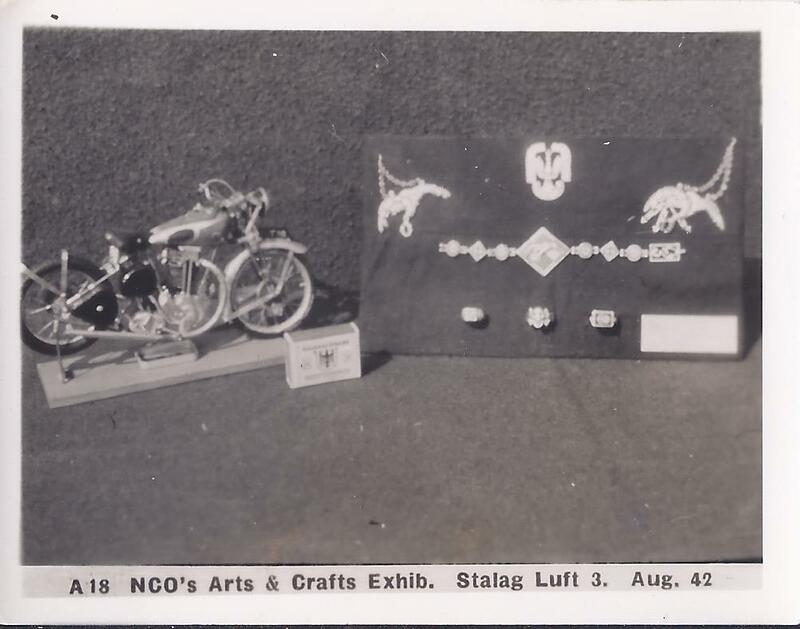 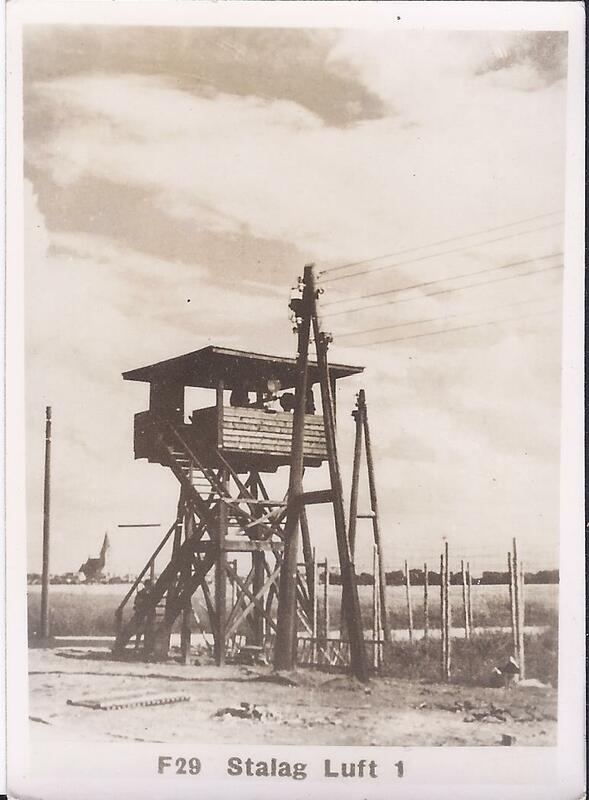 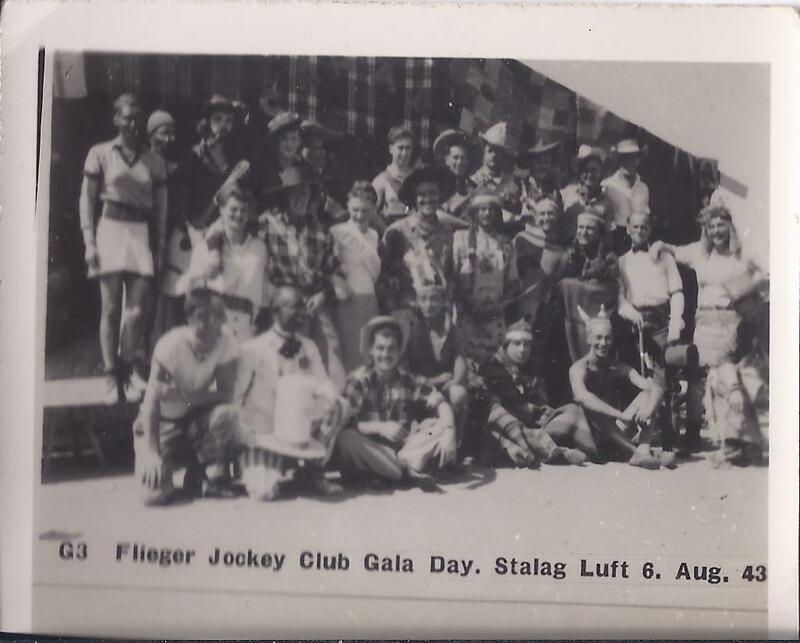 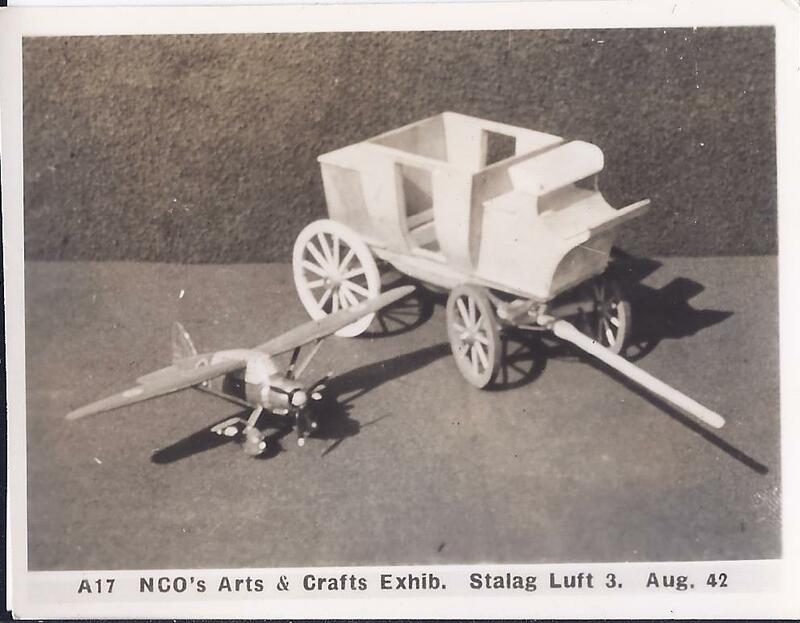 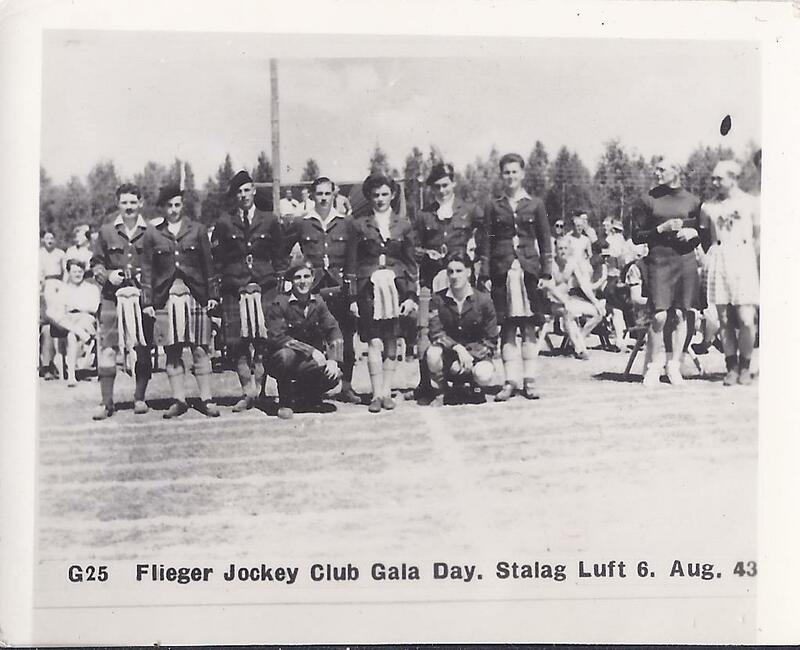 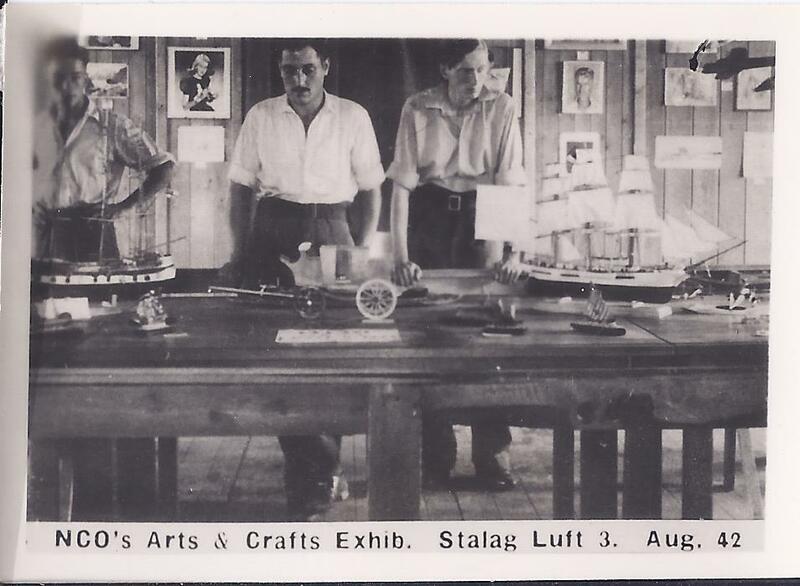 Stalag Luft 6- Flieger Jockey Club Galsa Day – August 1943. 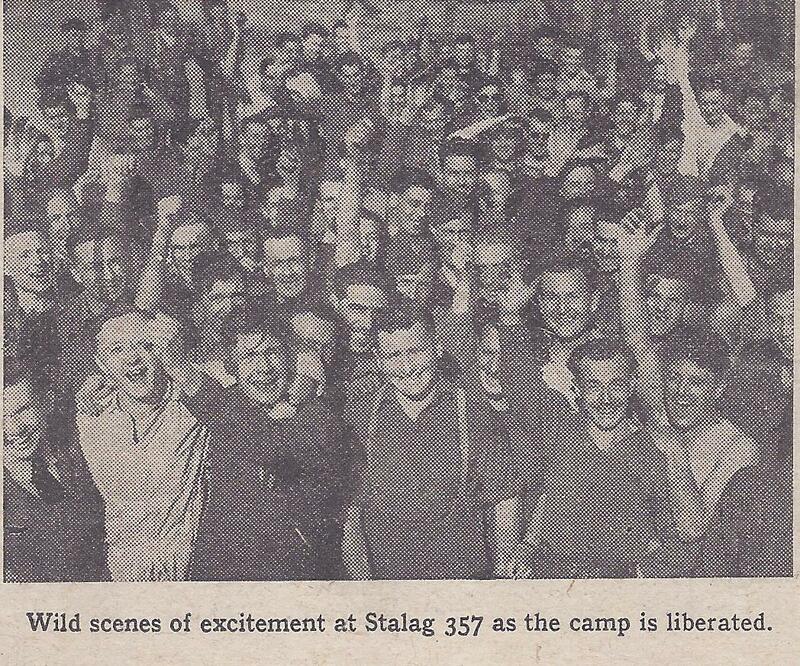 Stalag 357 – Race meeting.